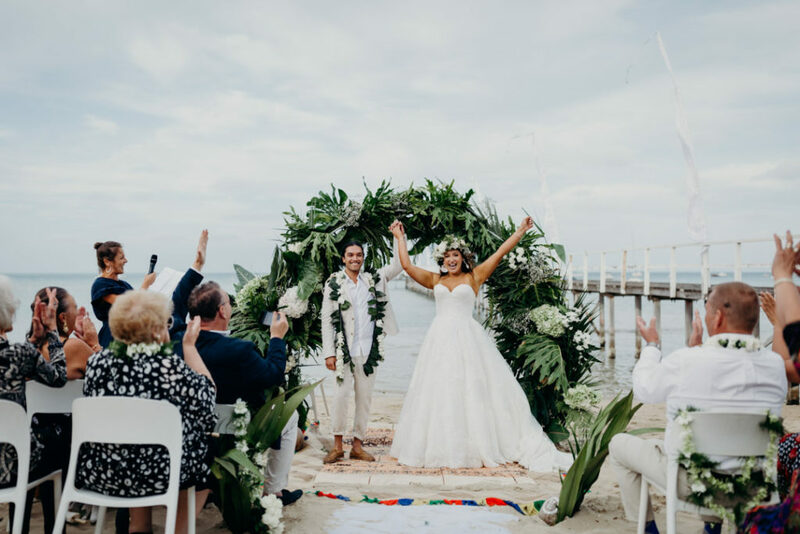 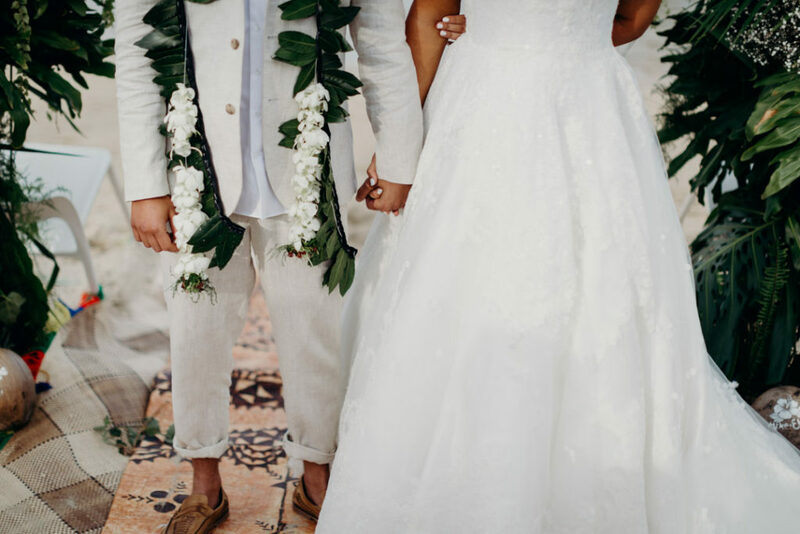 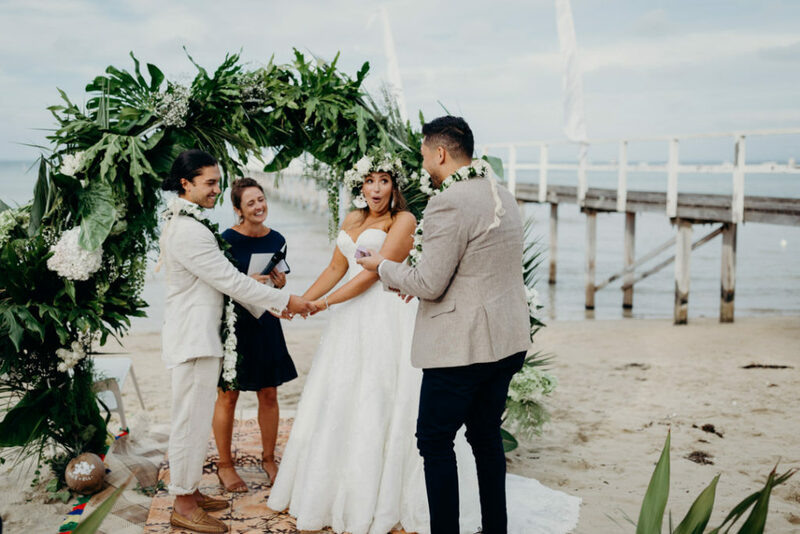 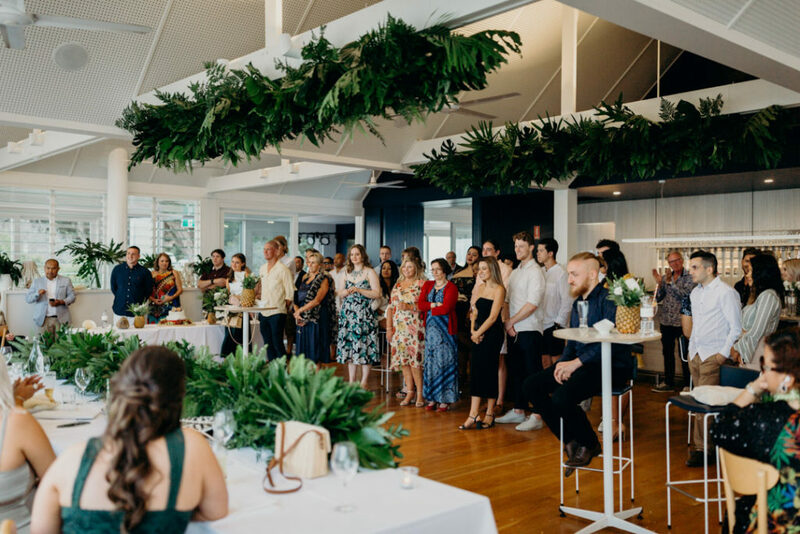 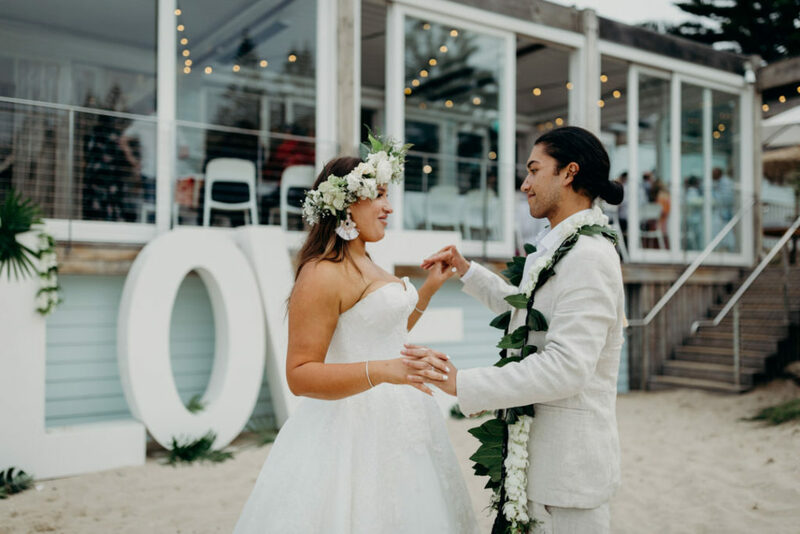 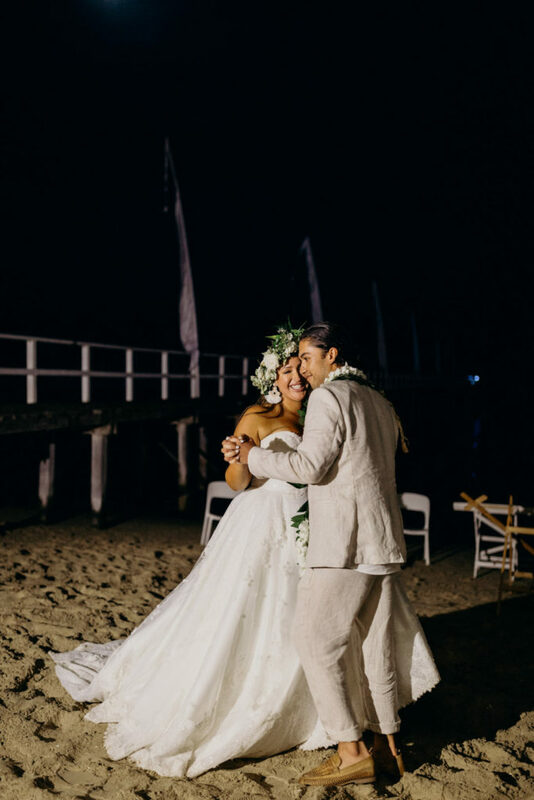 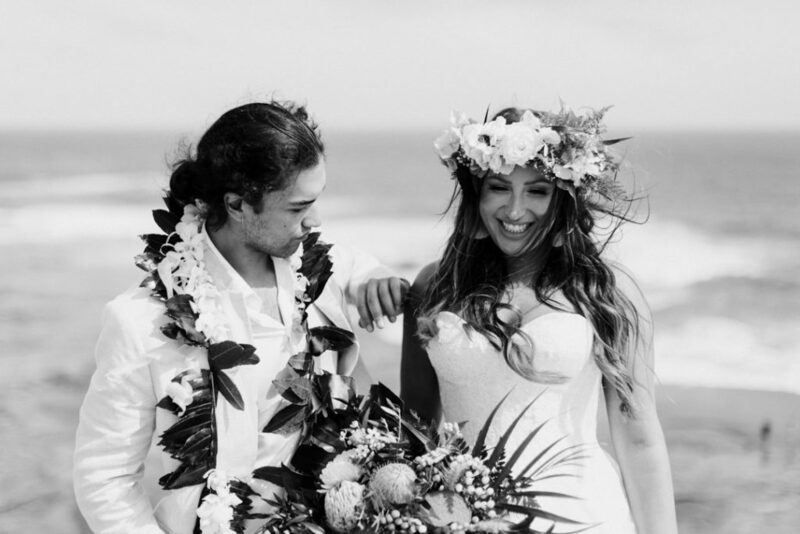 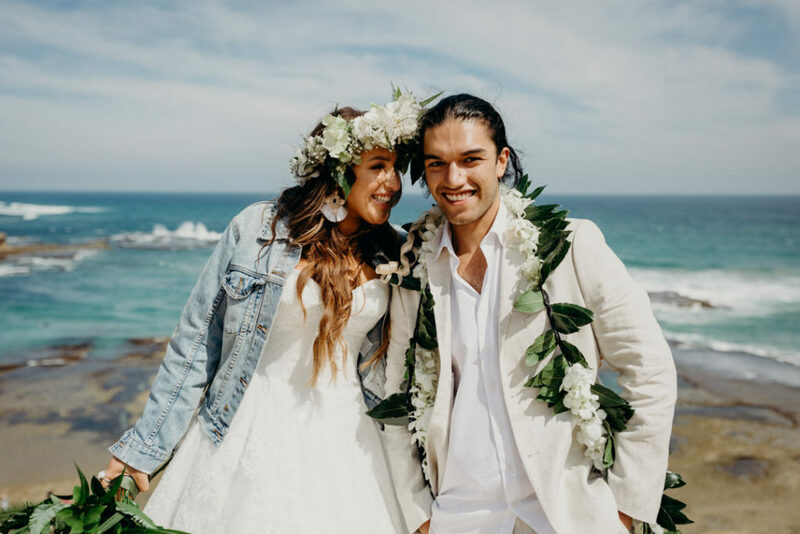 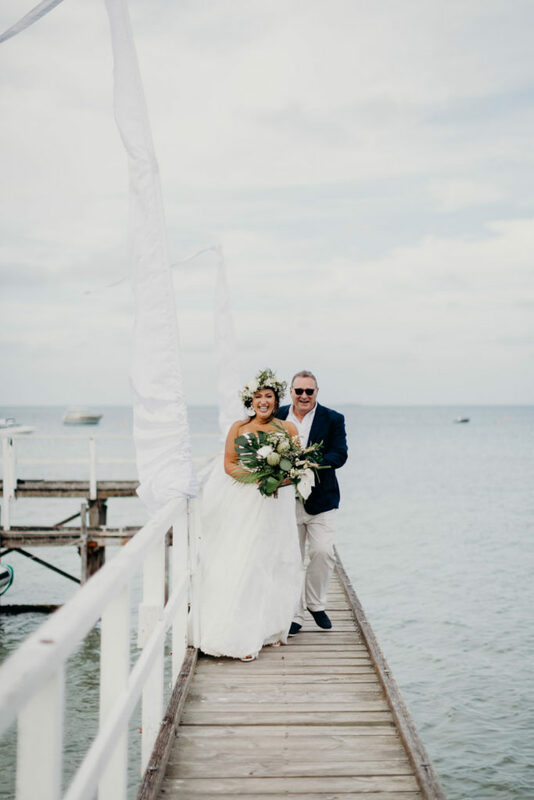 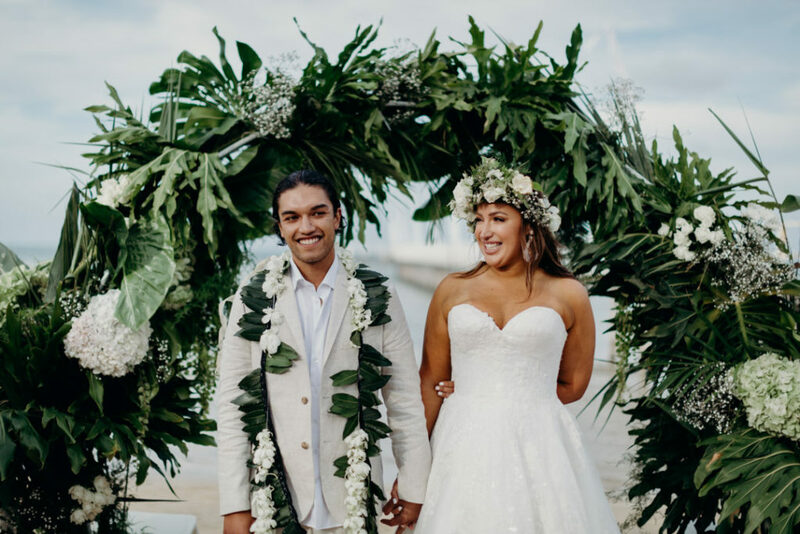 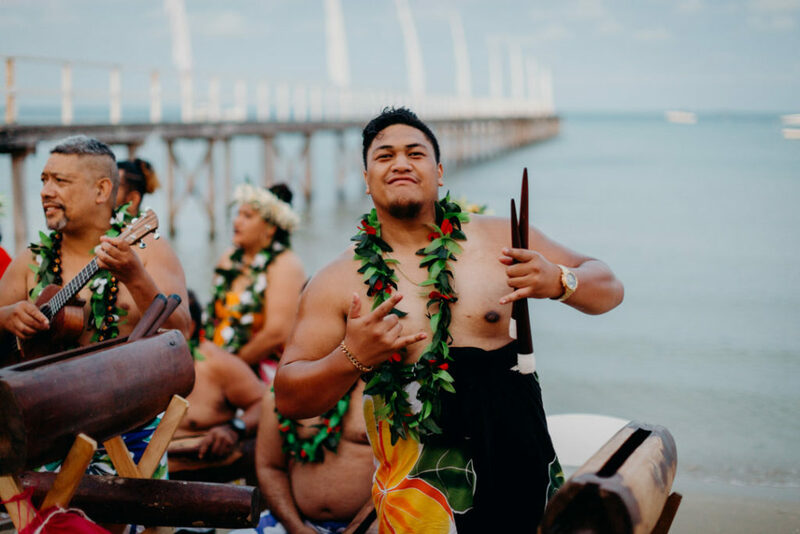 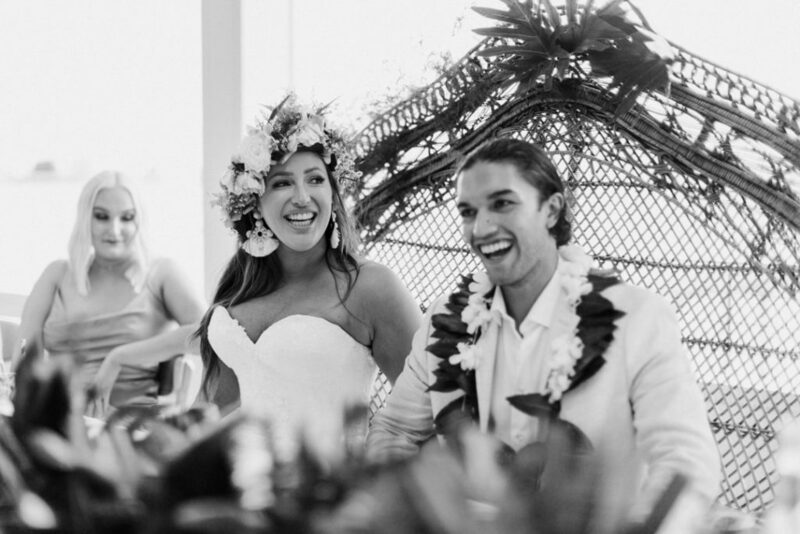 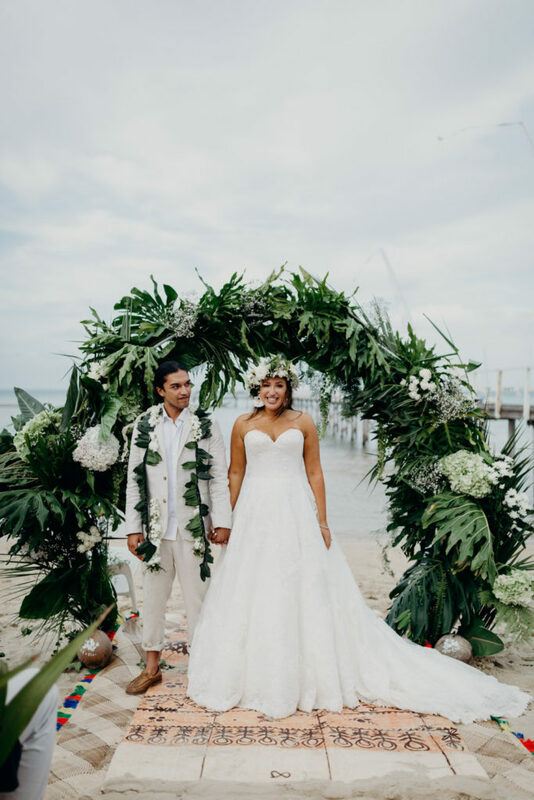 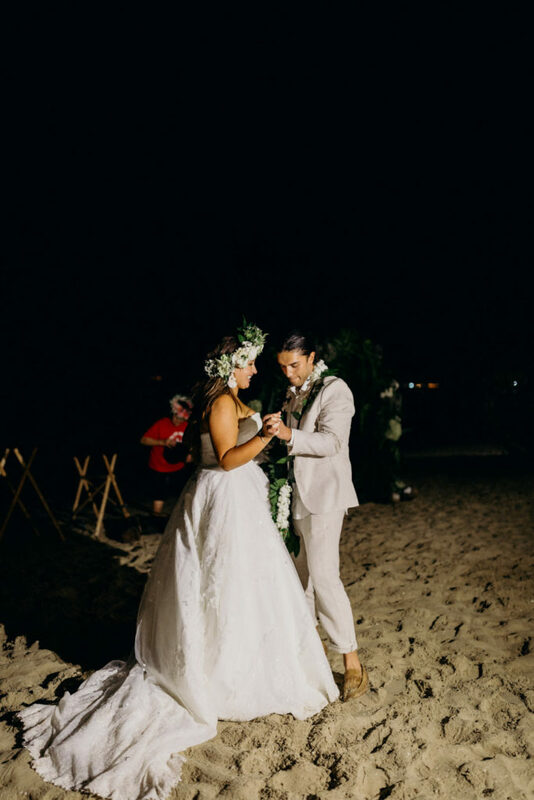 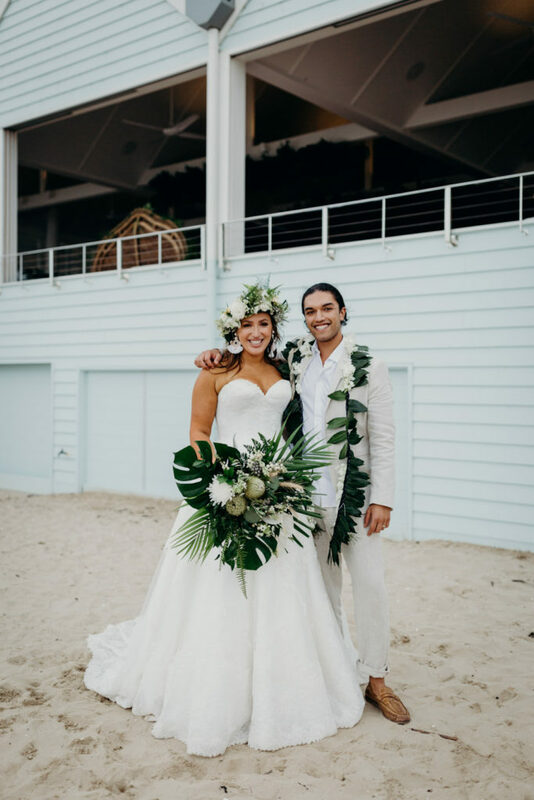 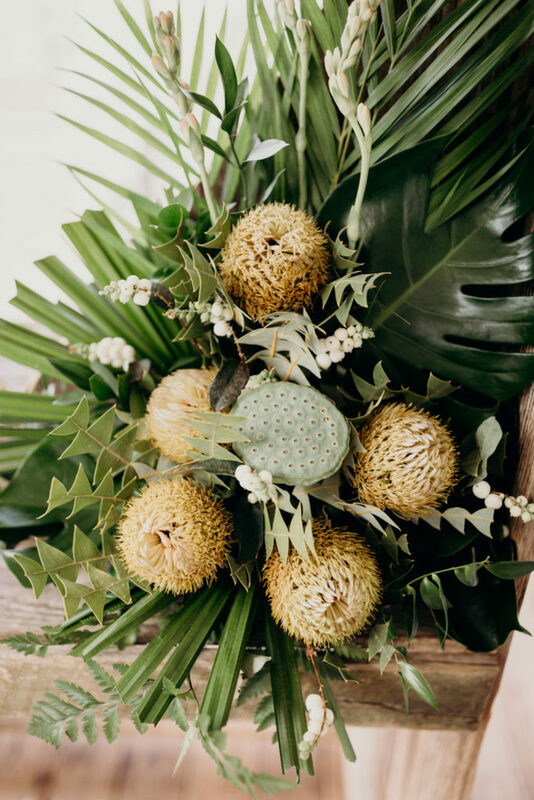 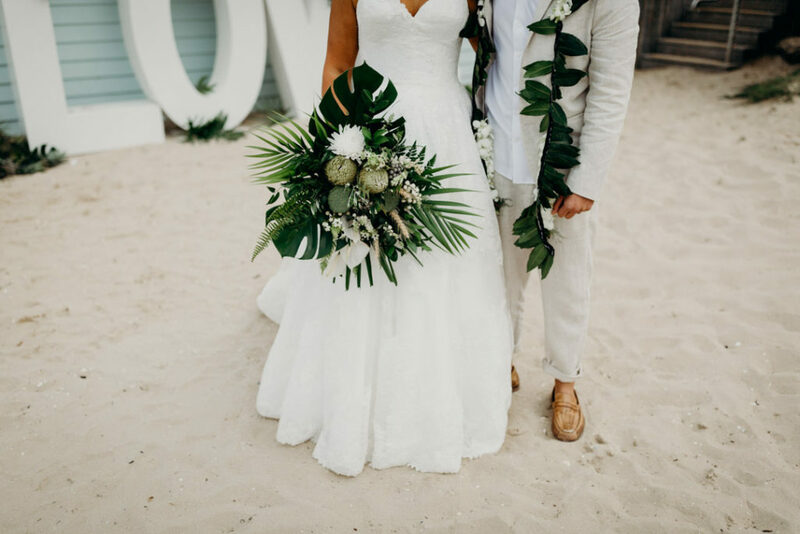 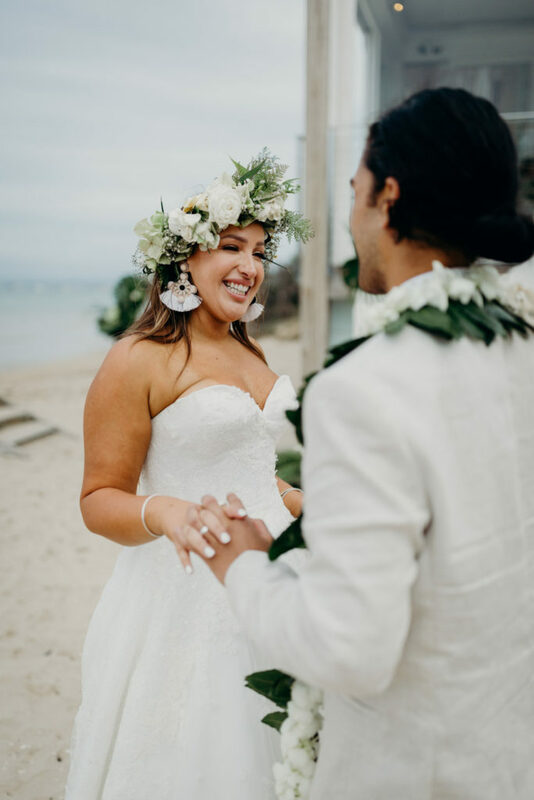 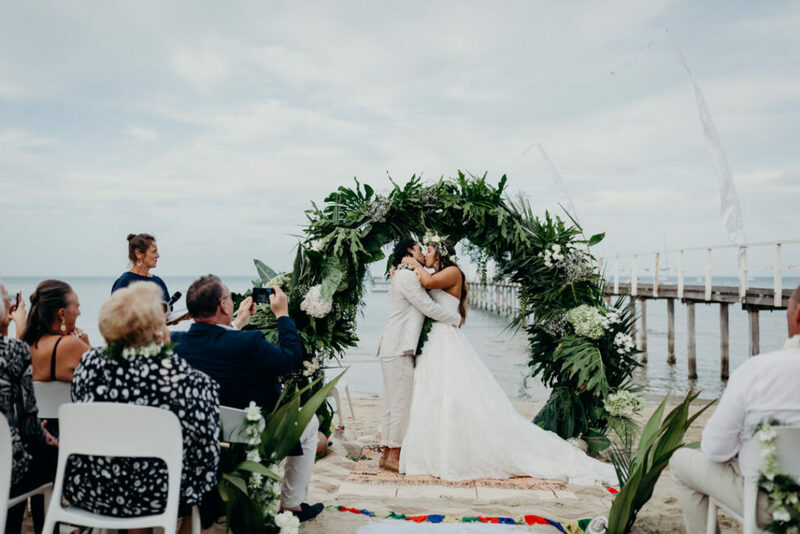 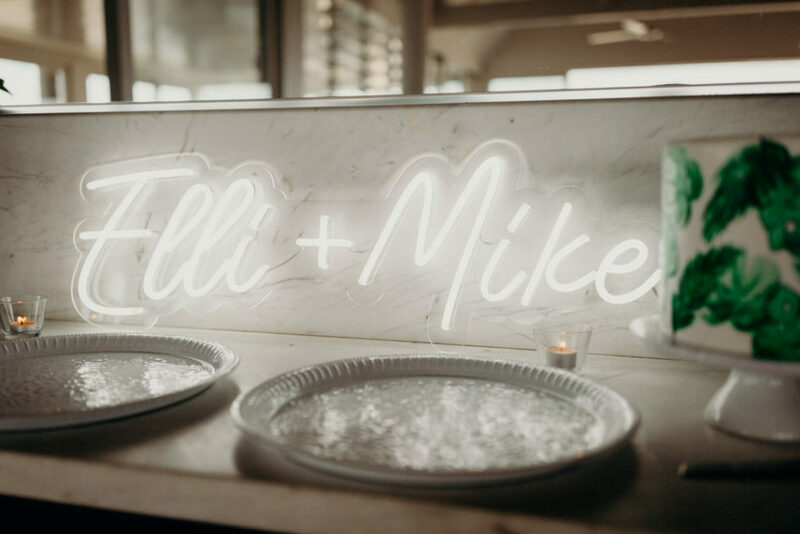 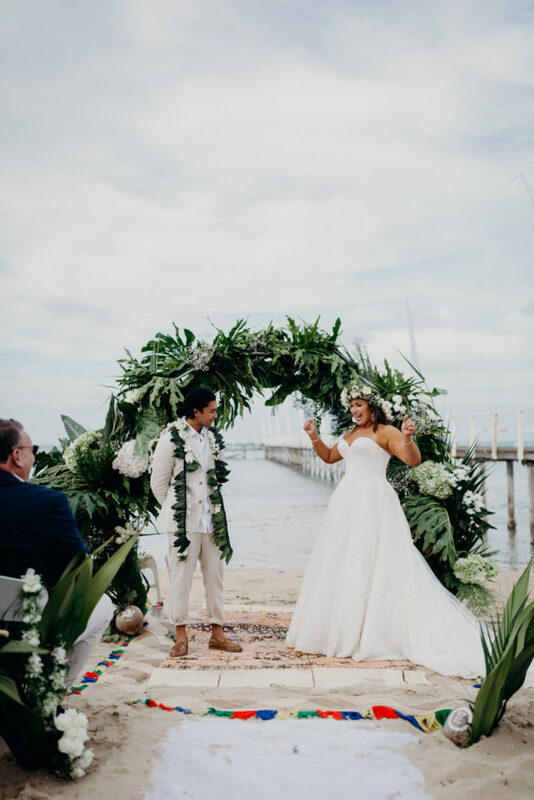 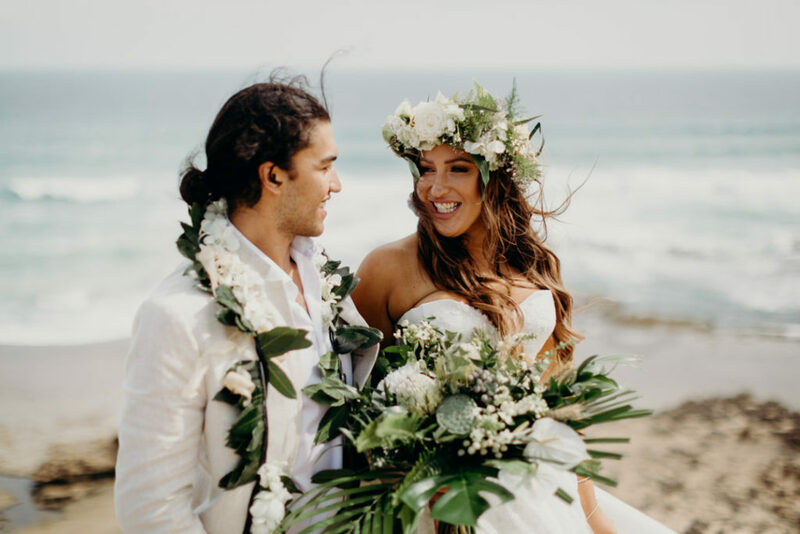 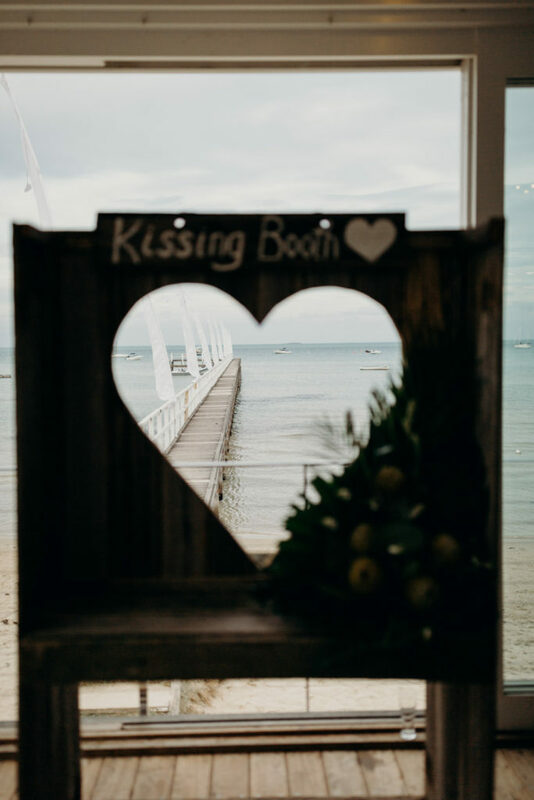 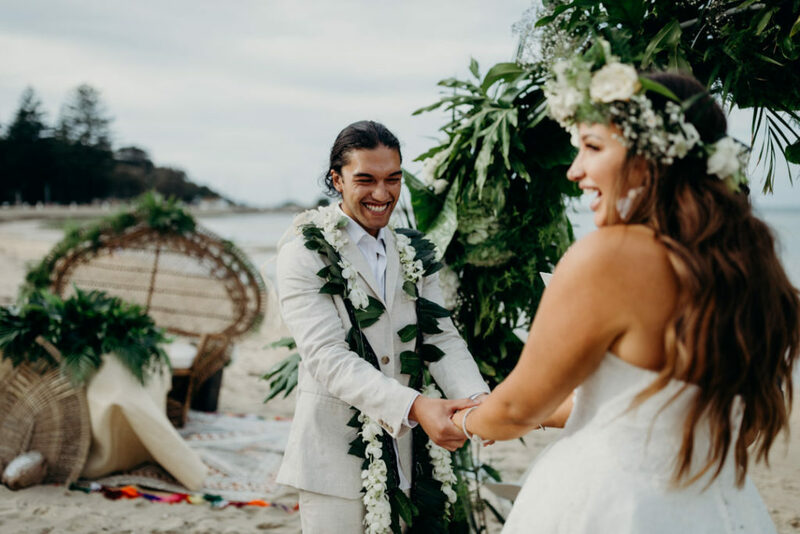 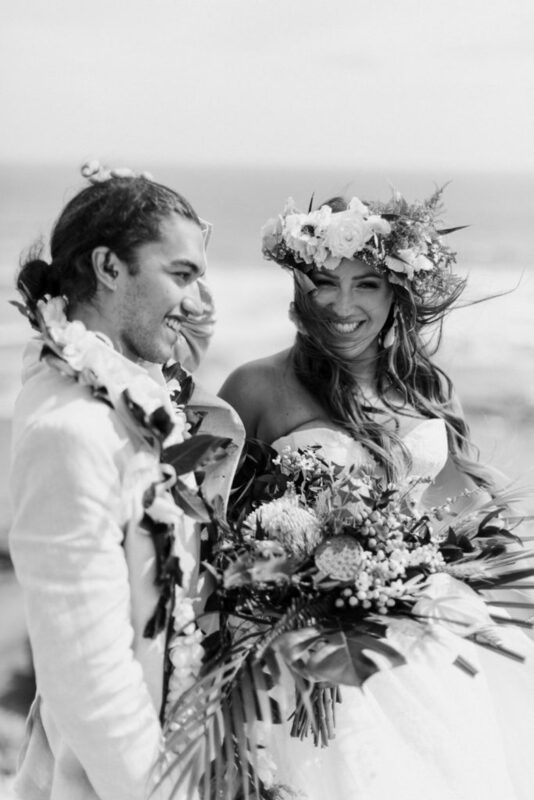 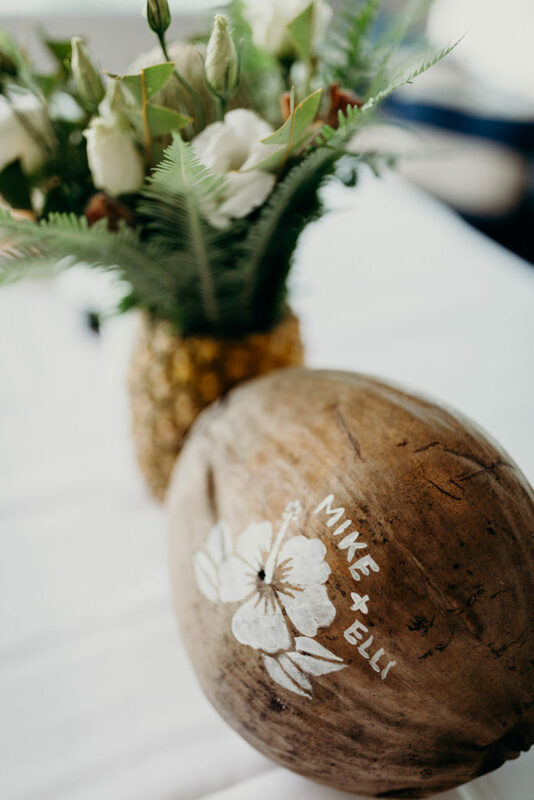 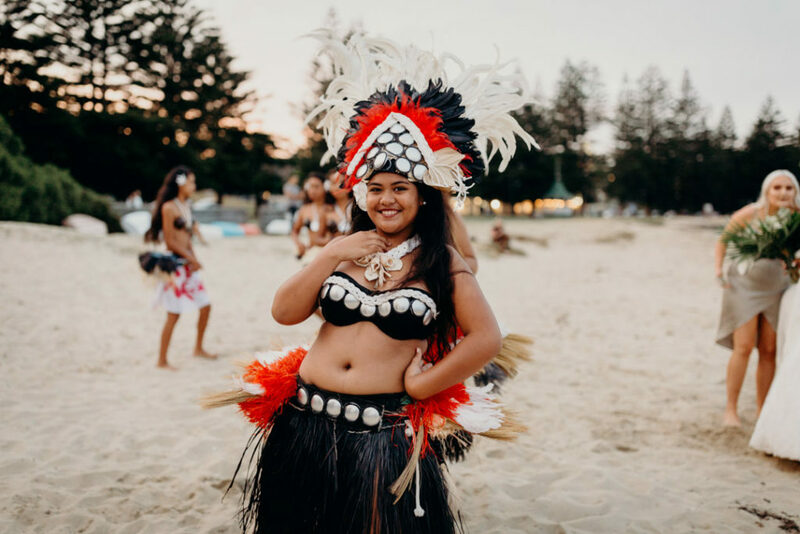 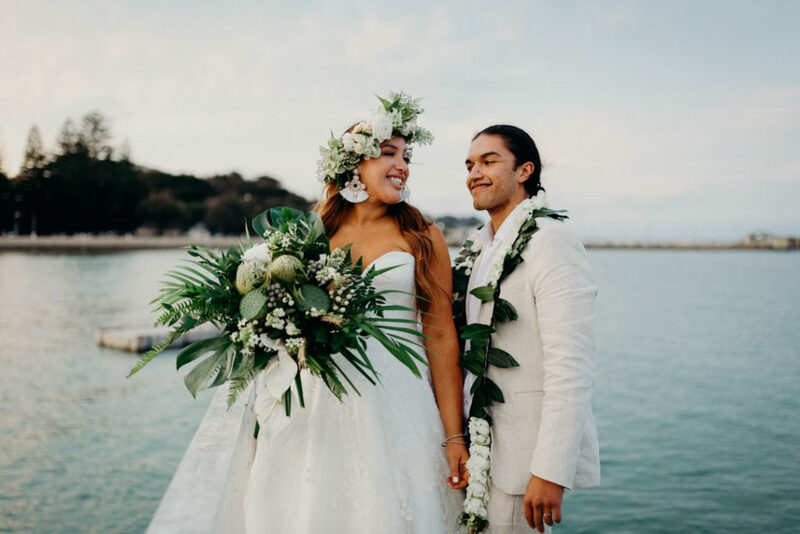 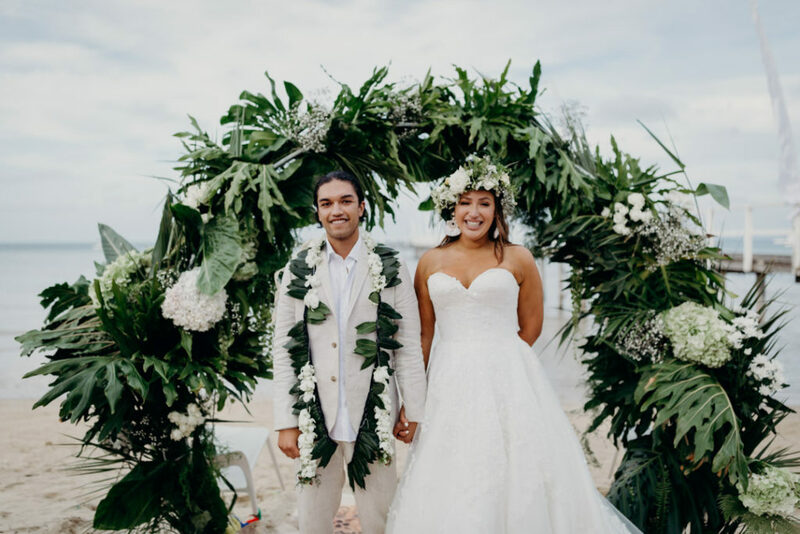 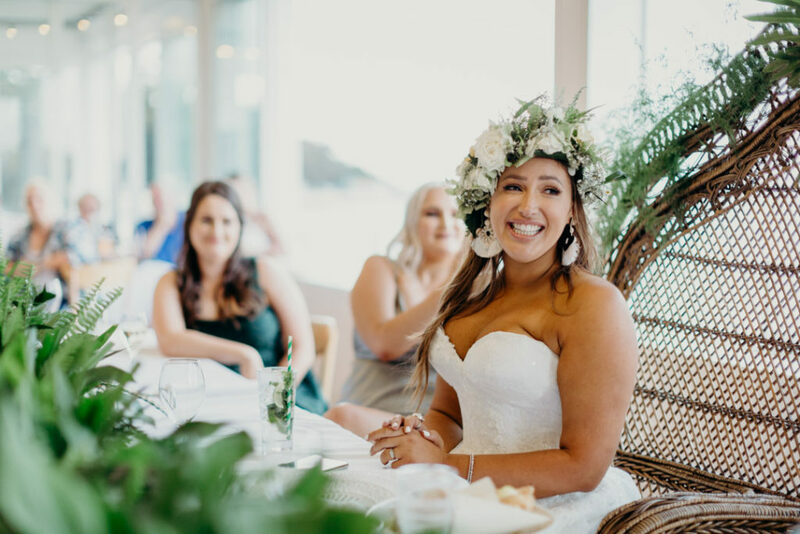 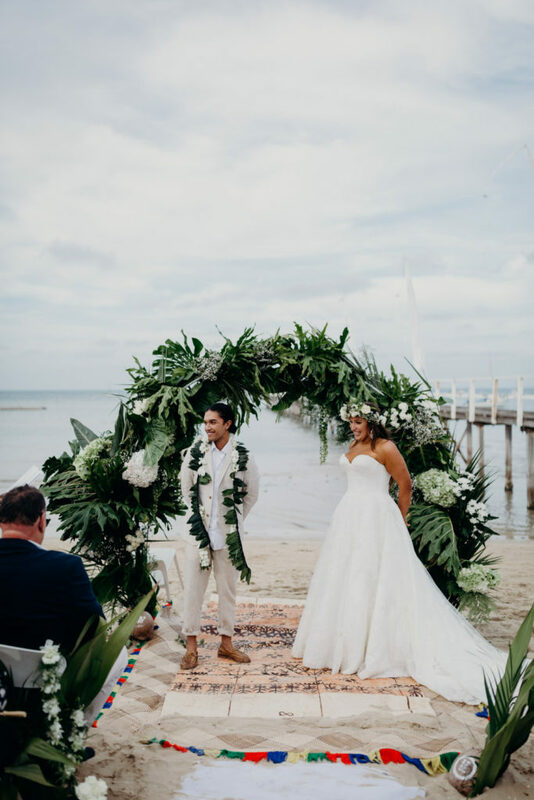 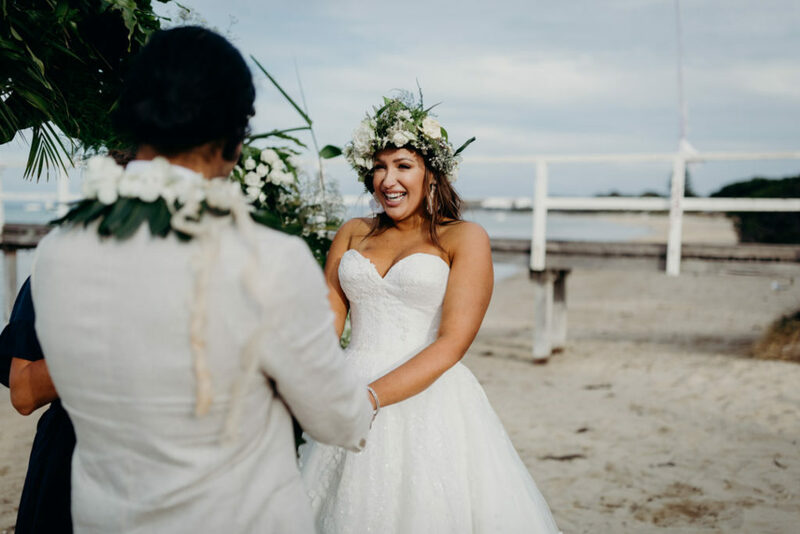 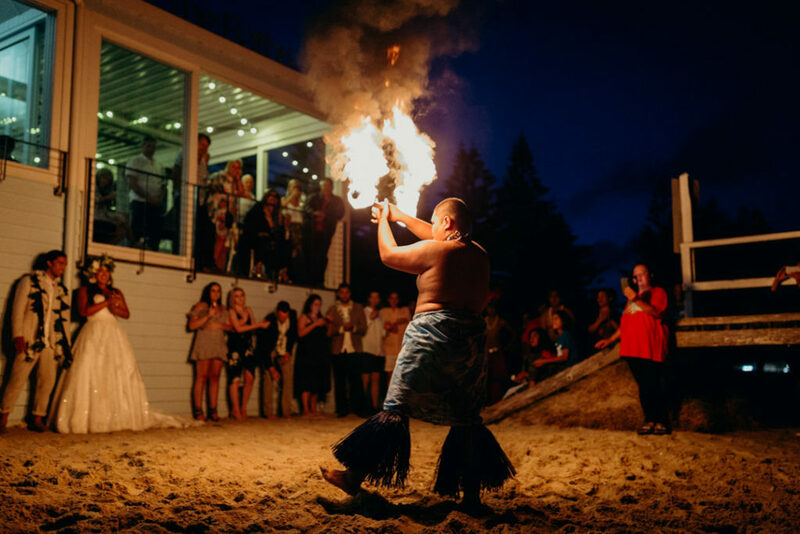 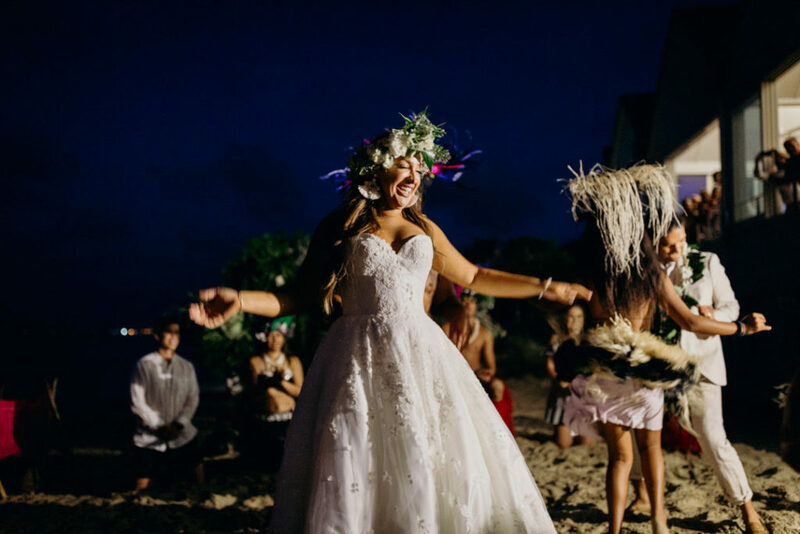 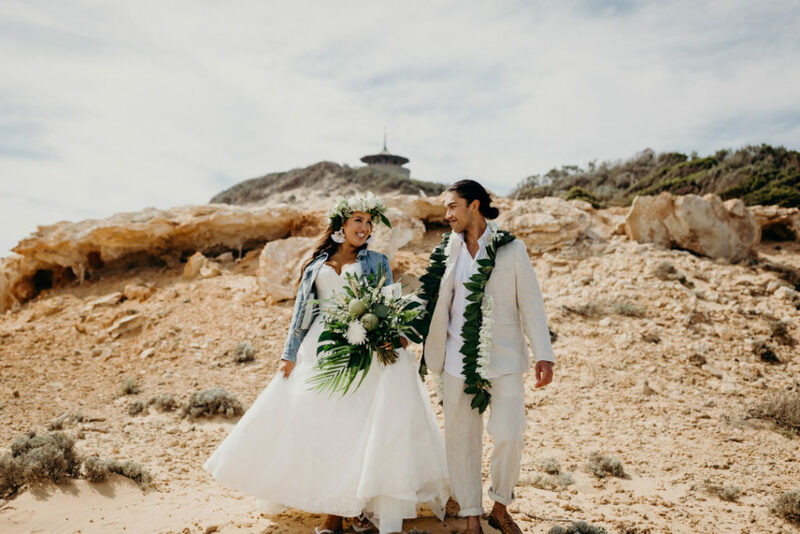 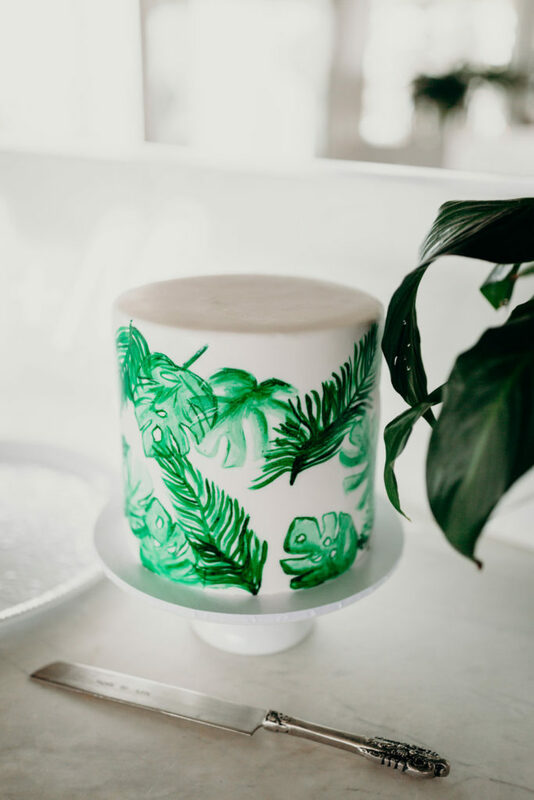 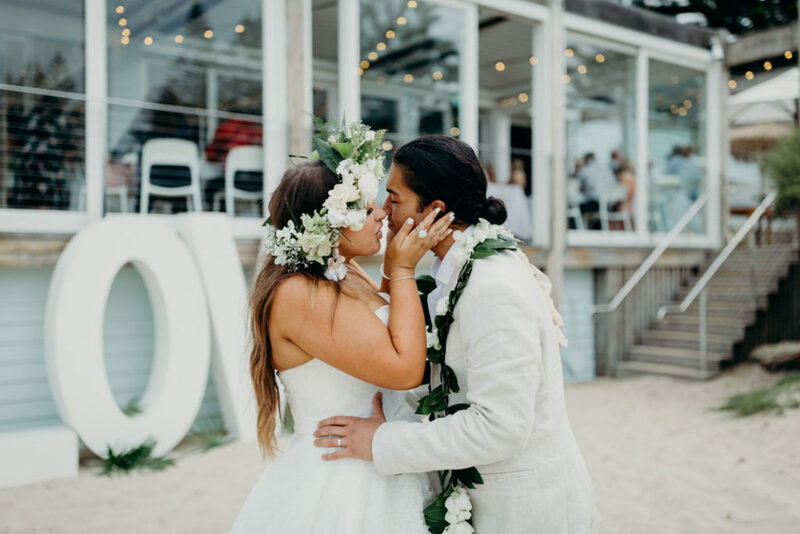 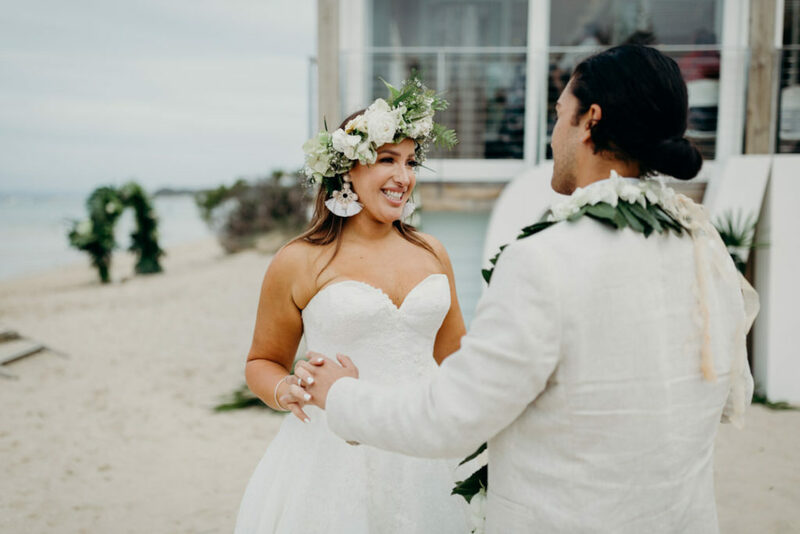 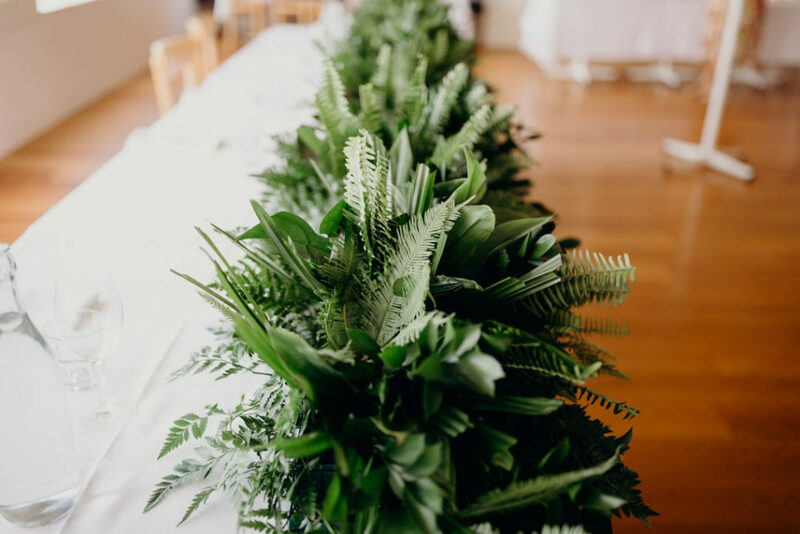 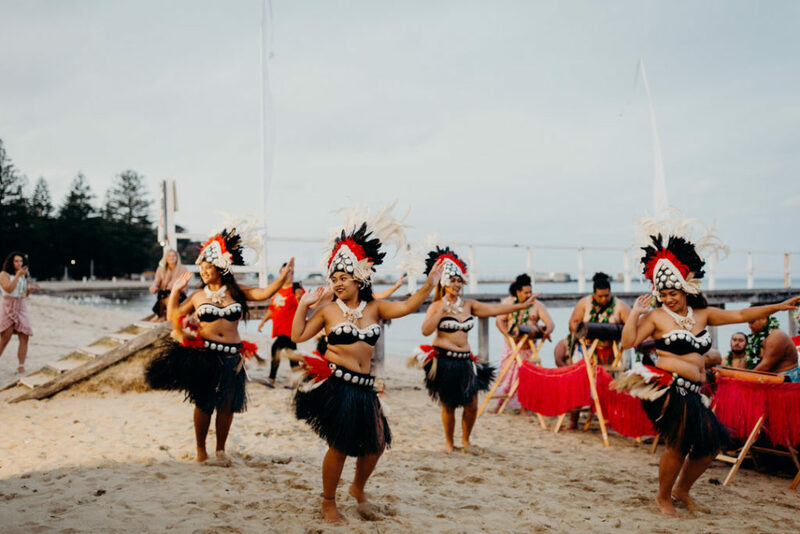 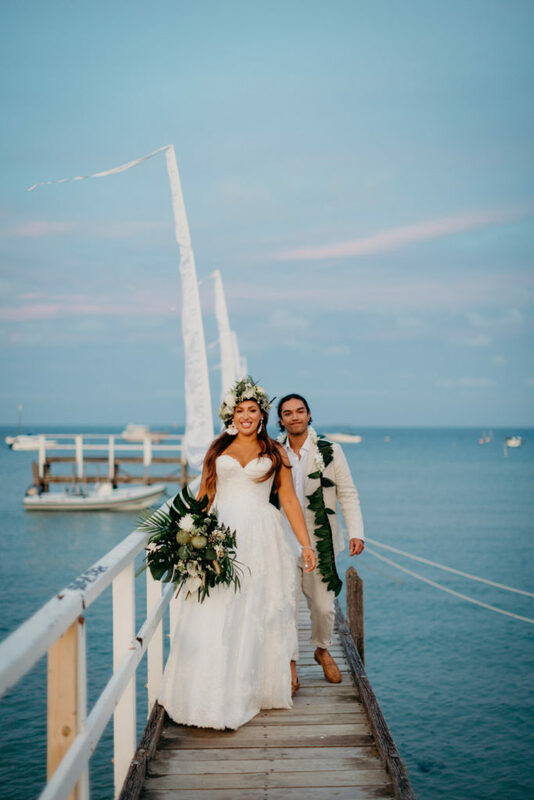 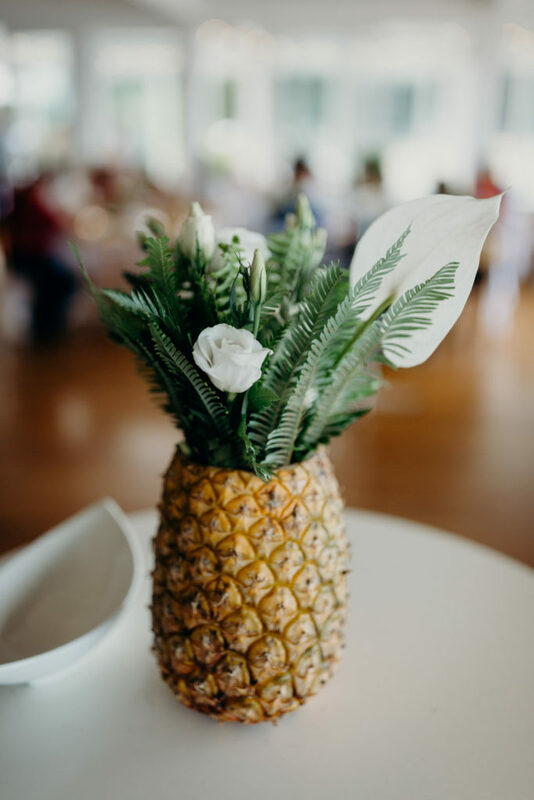 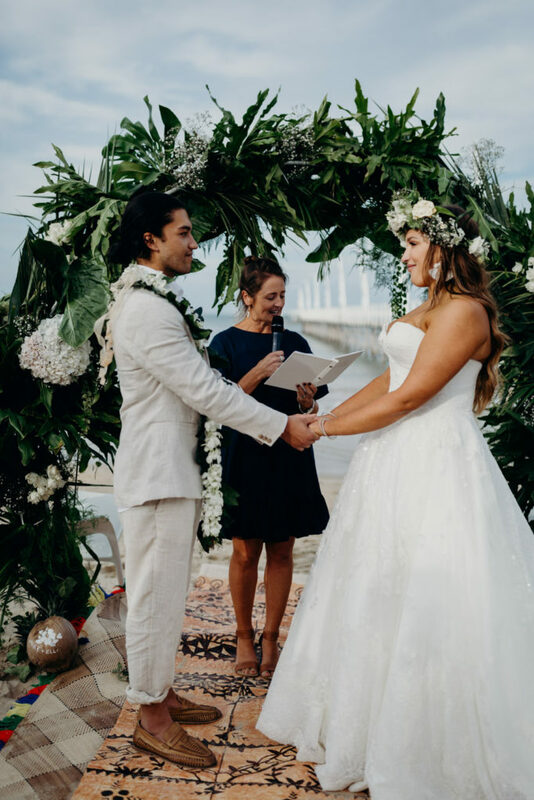 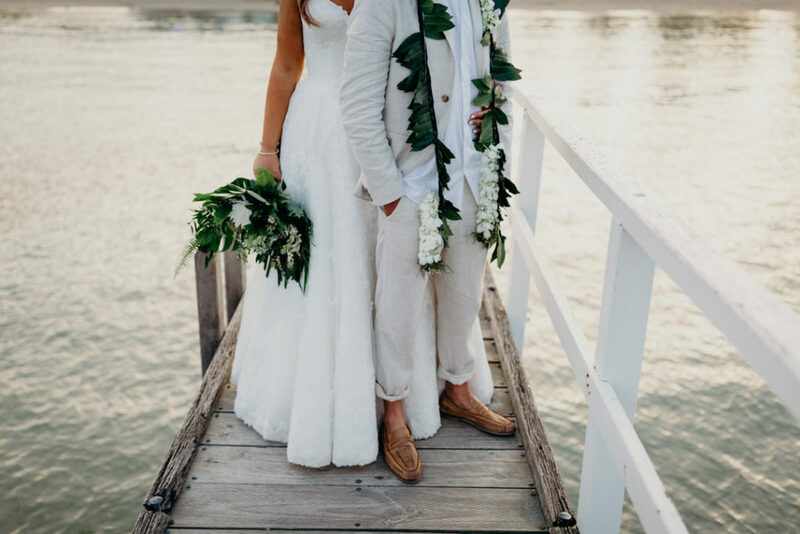 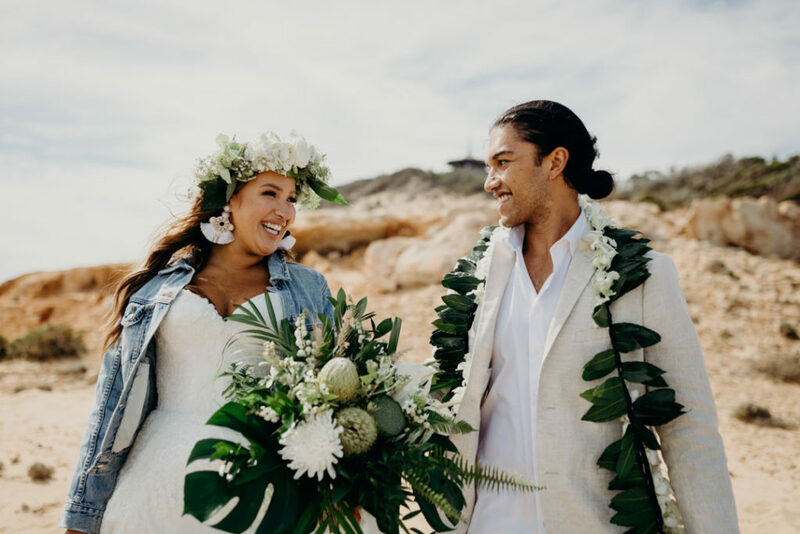 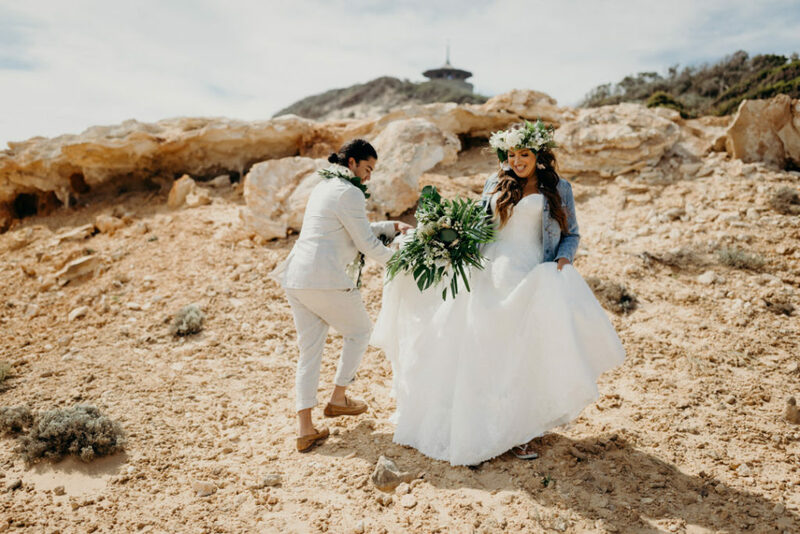 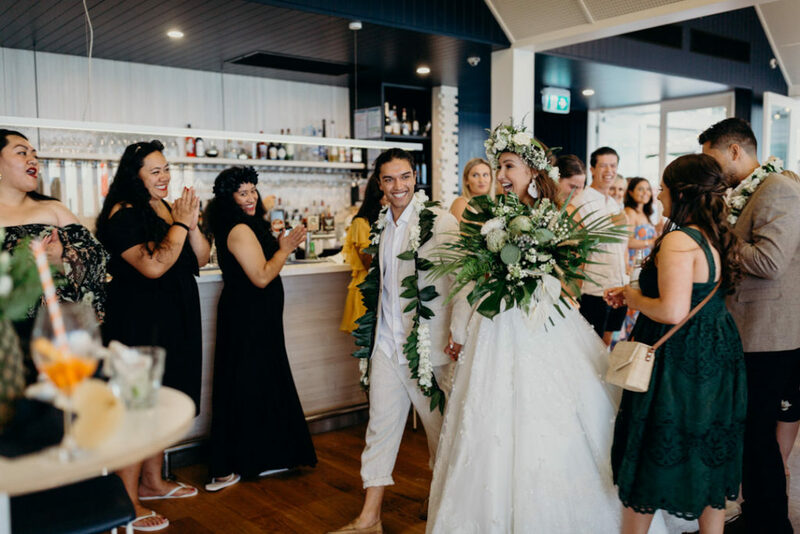 Elli and Mike surprised all their loved ones with an epic tropical wedding staged as an engagement party! 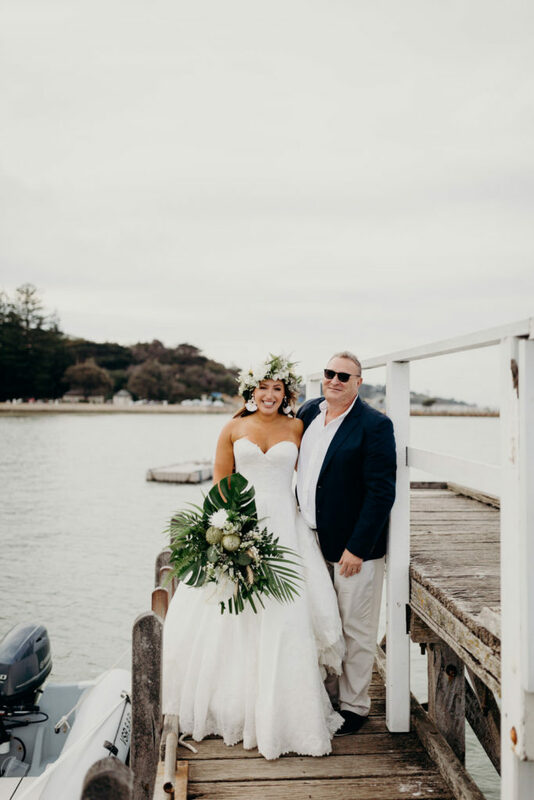 Peninsula! 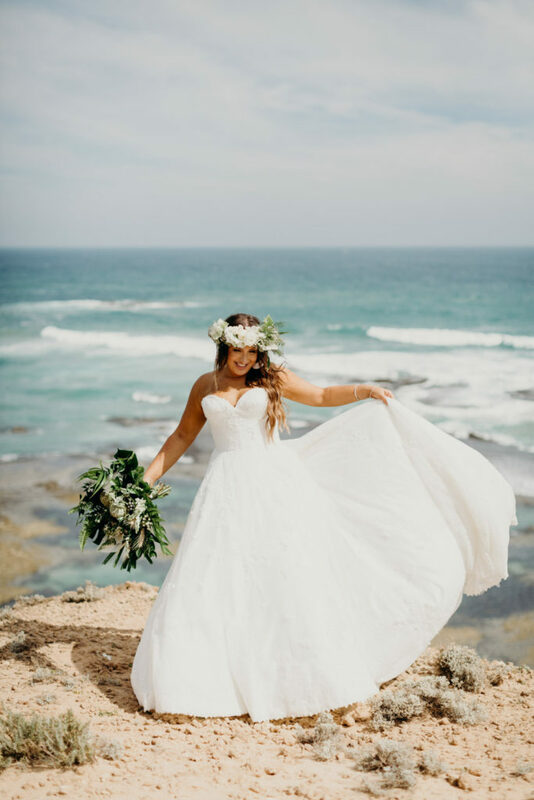 Nick Skinner Photographer is the mastermind behind these mind boggling beautiful shots, honestly it was so hard to choose the few I did, as every shot in the album had something extraordinary about it! 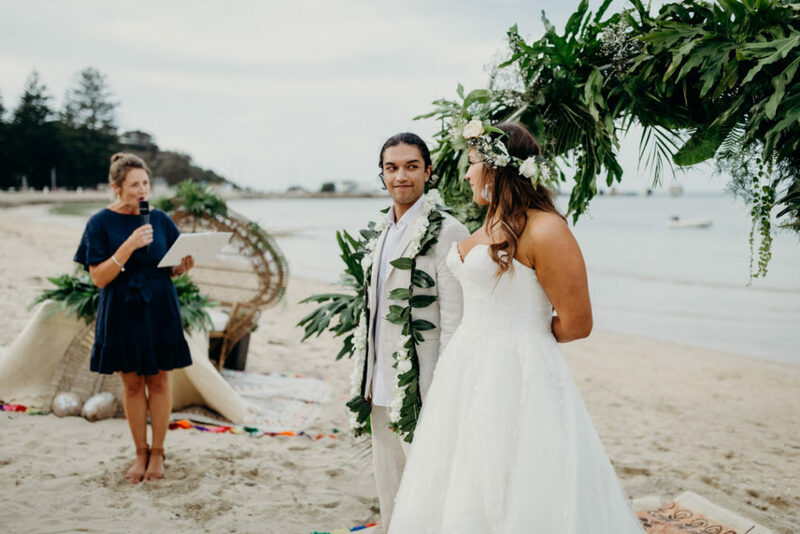 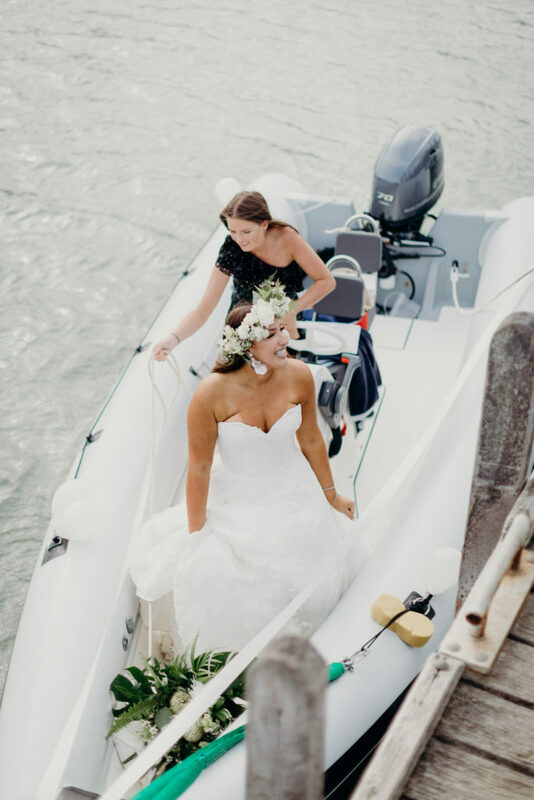 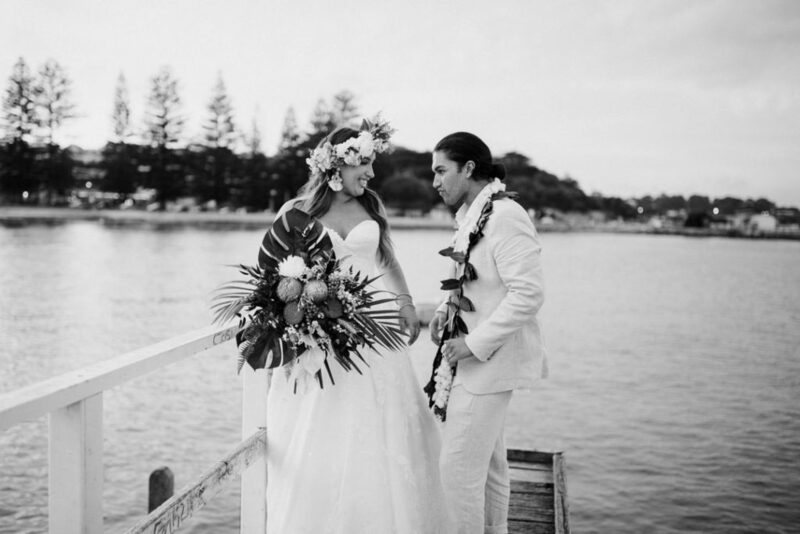 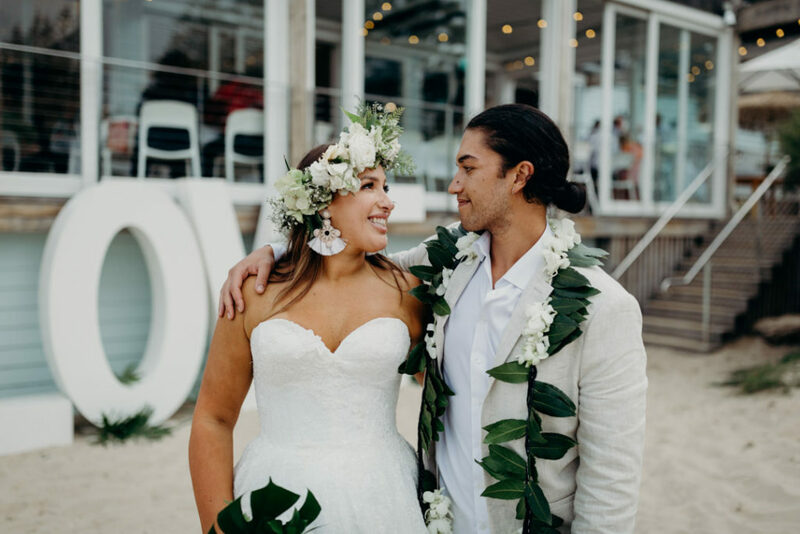 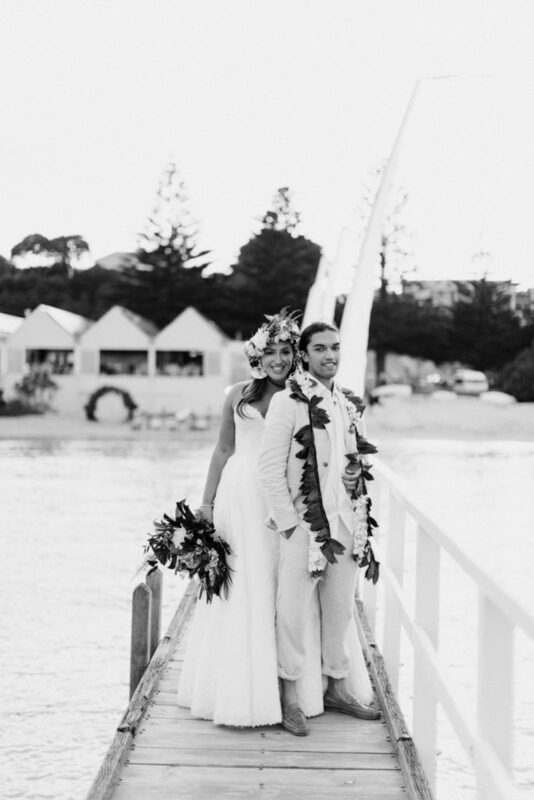 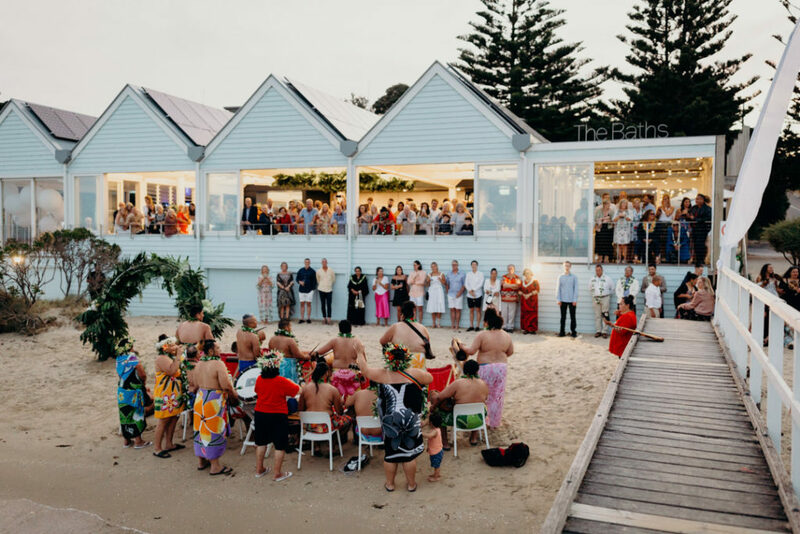 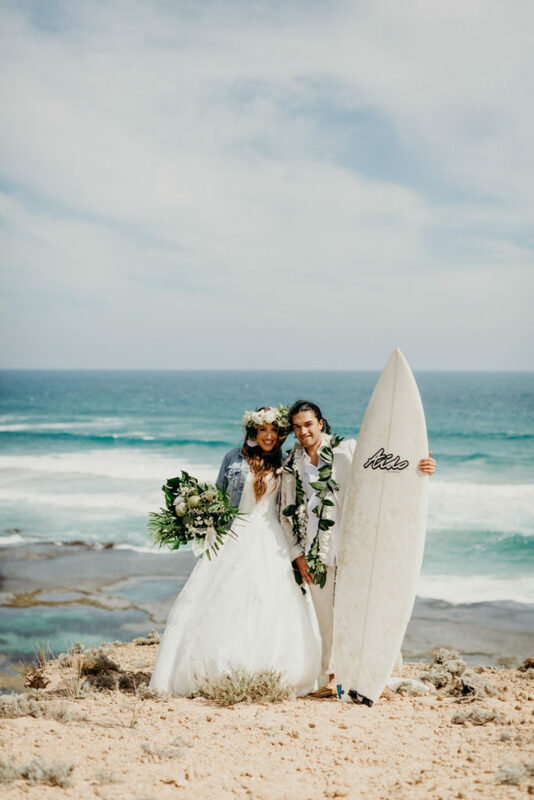 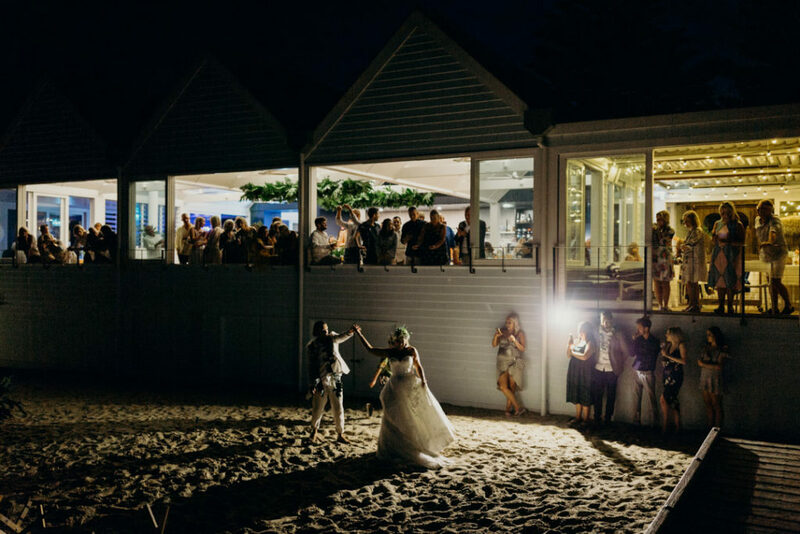 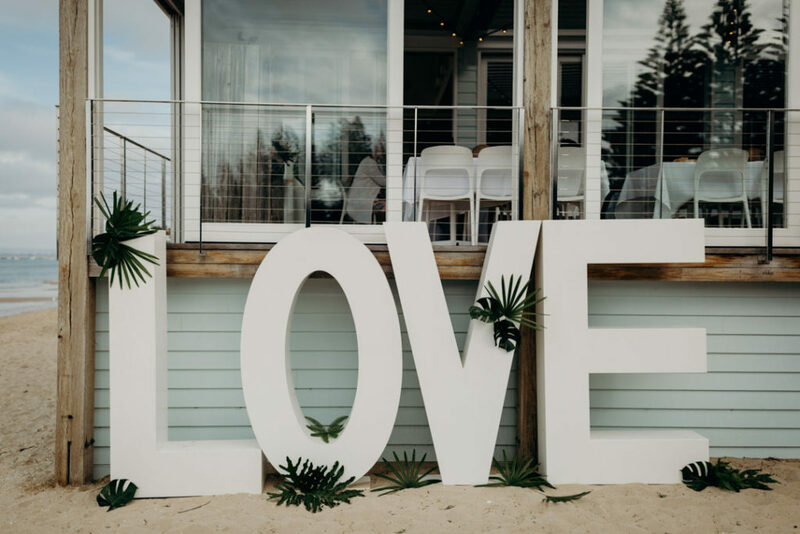 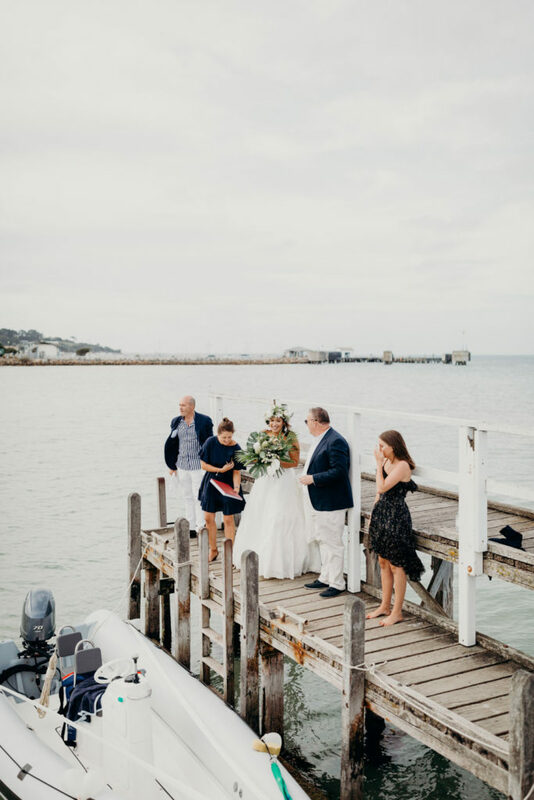 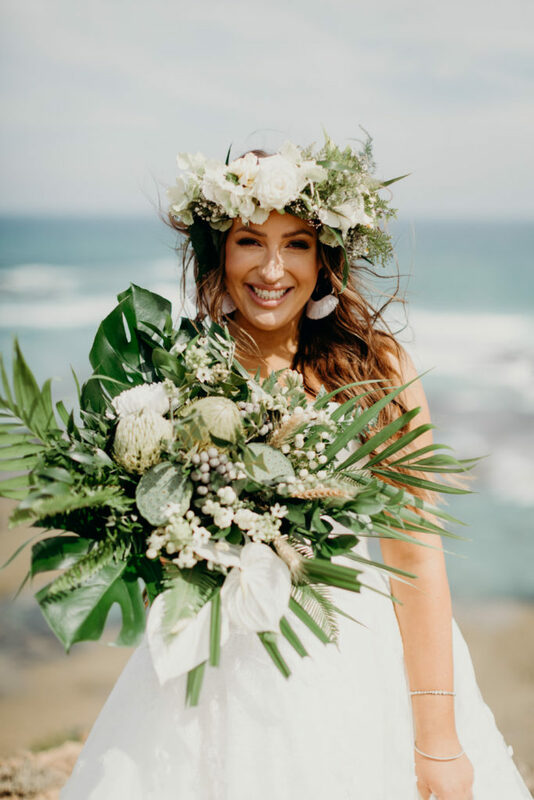 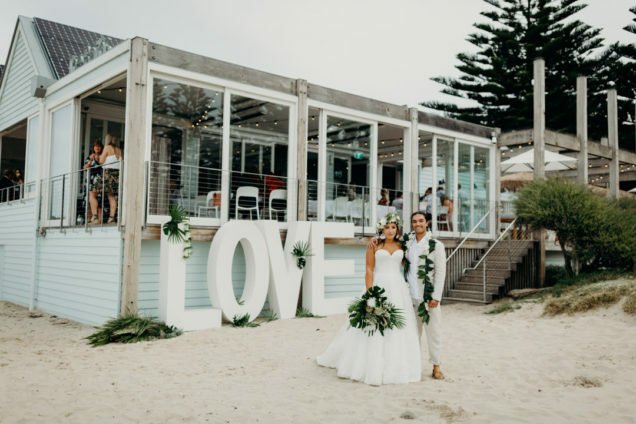 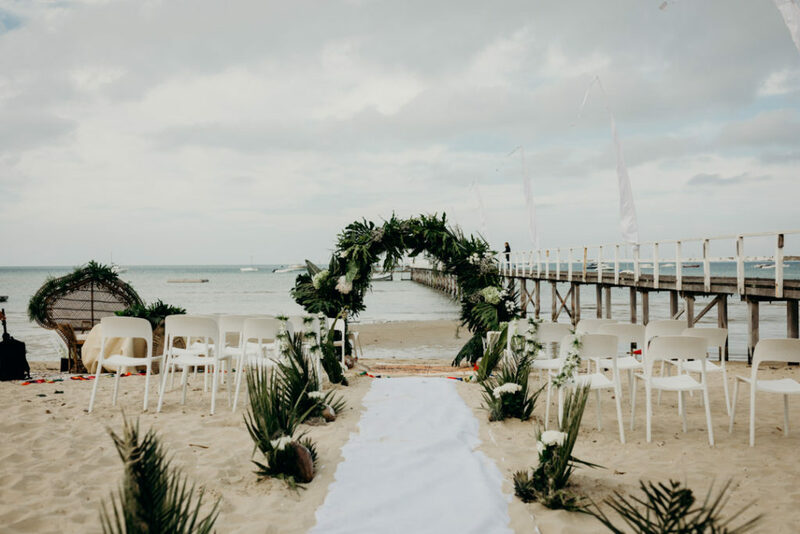 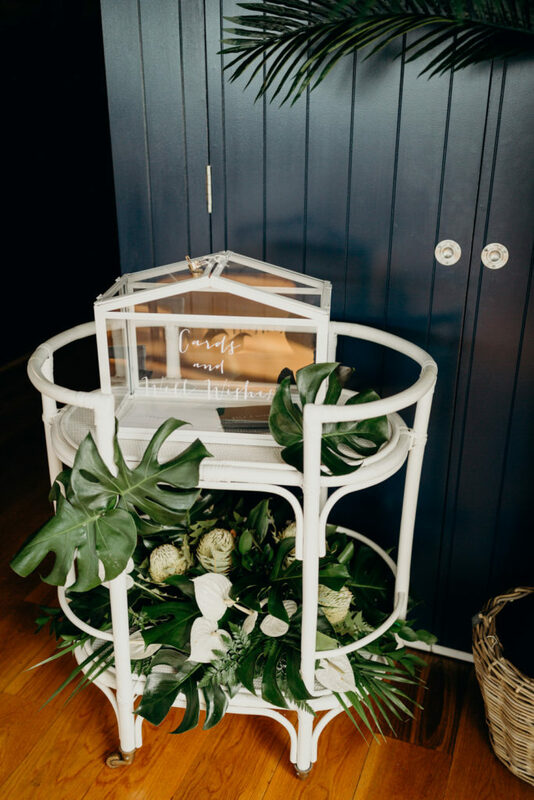 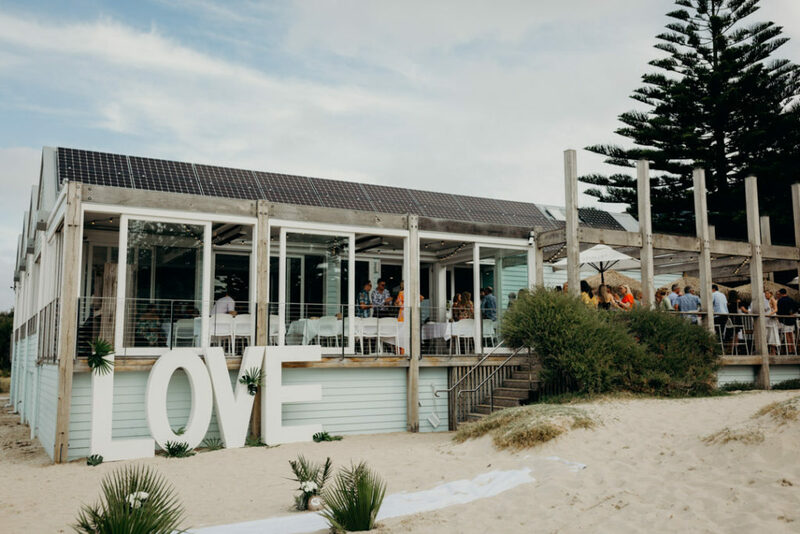 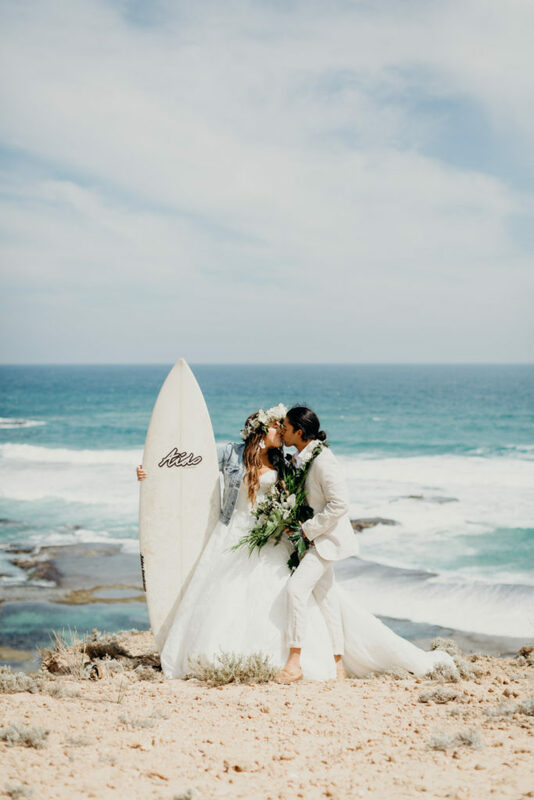 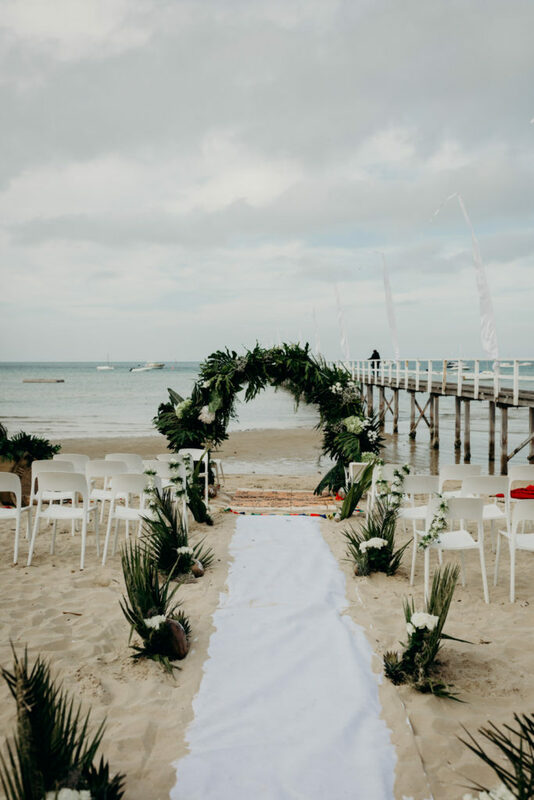 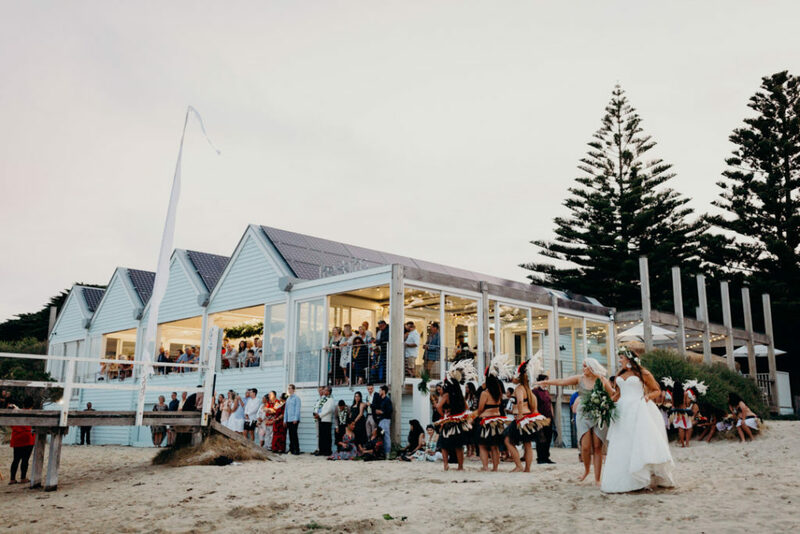 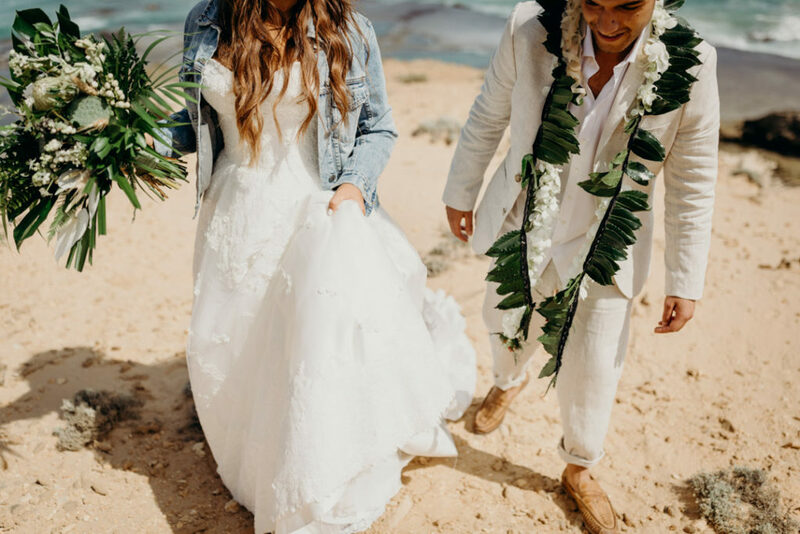 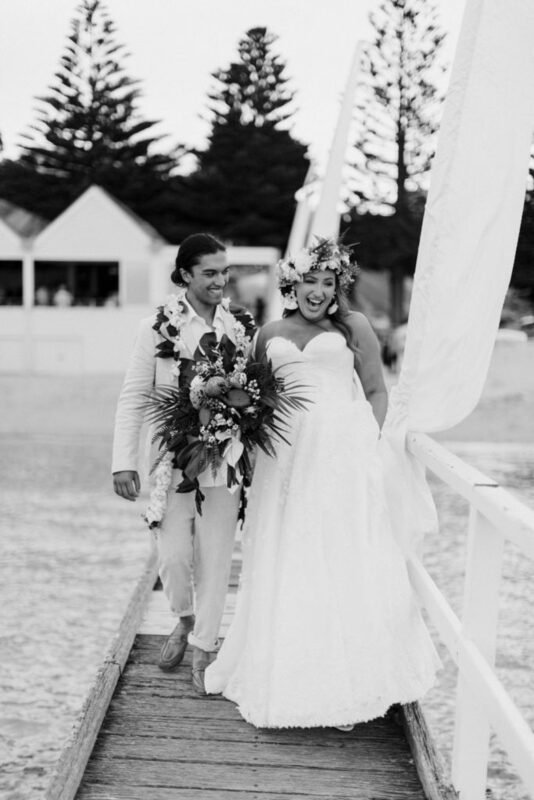 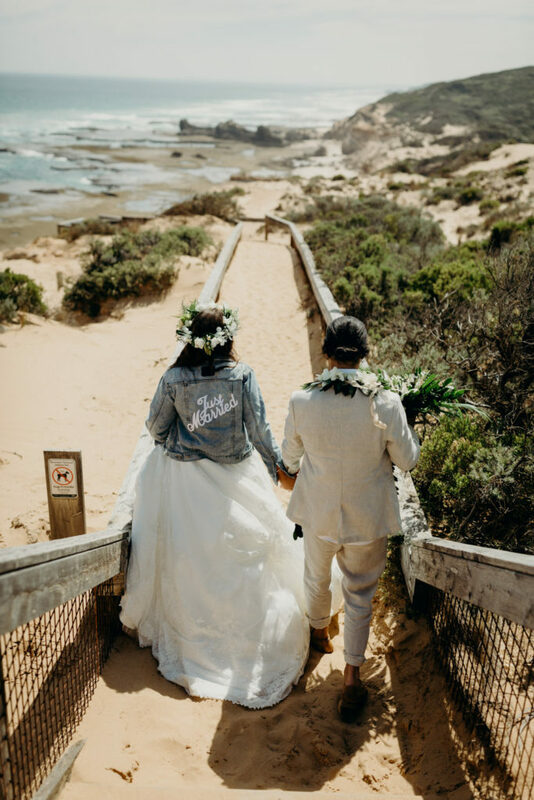 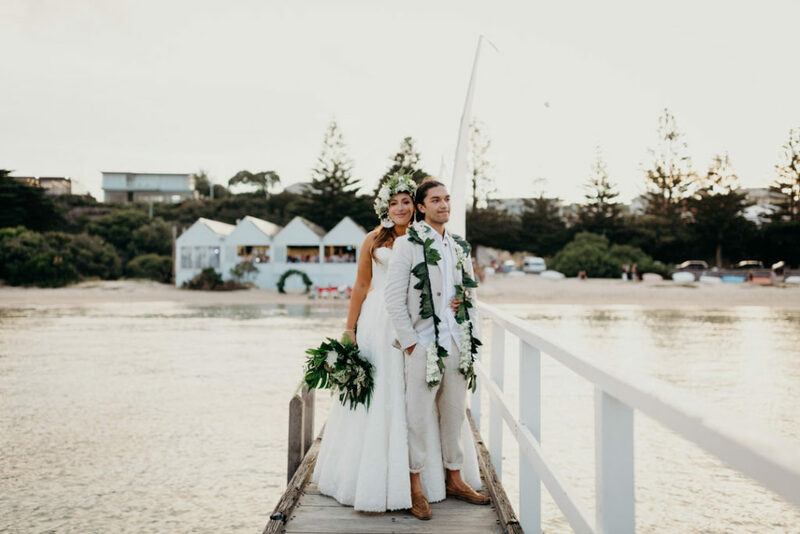 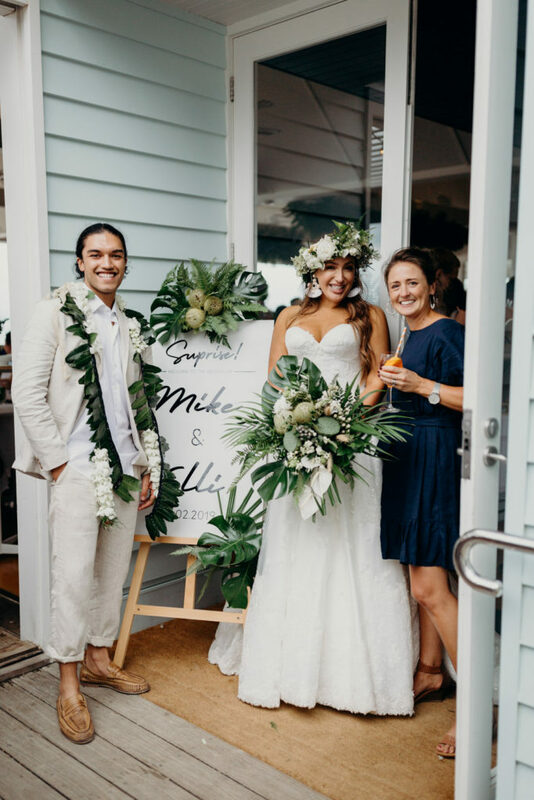 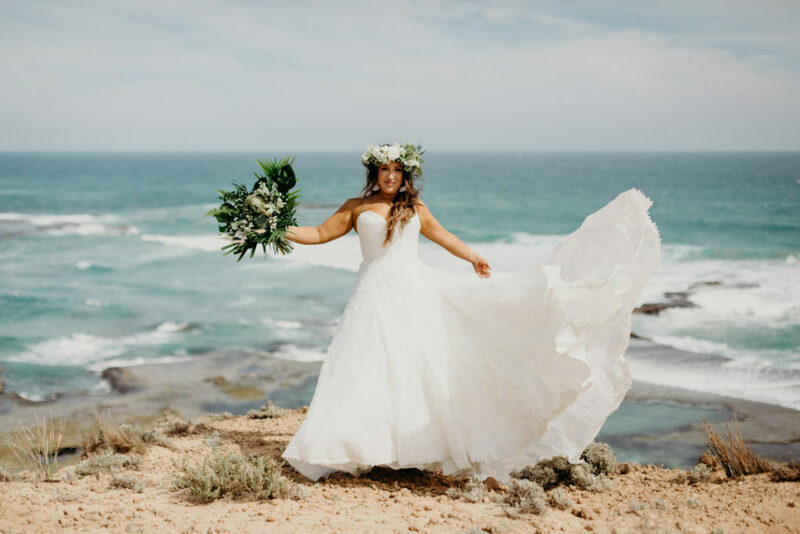 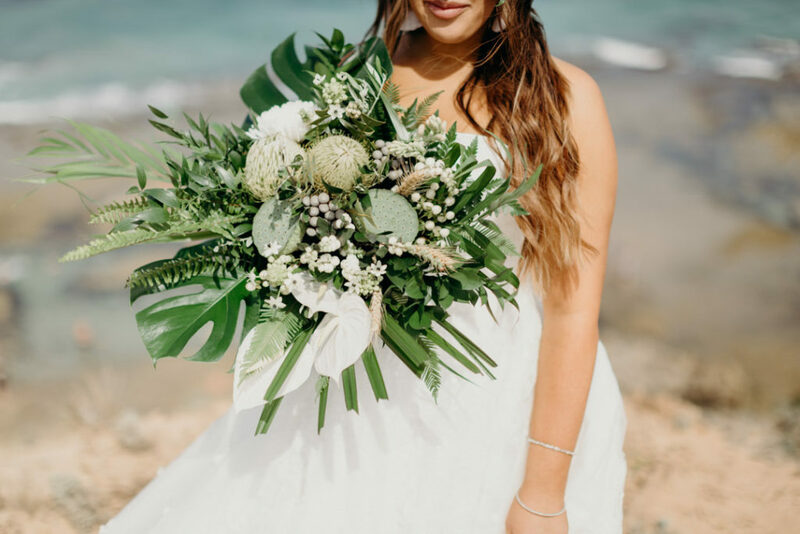 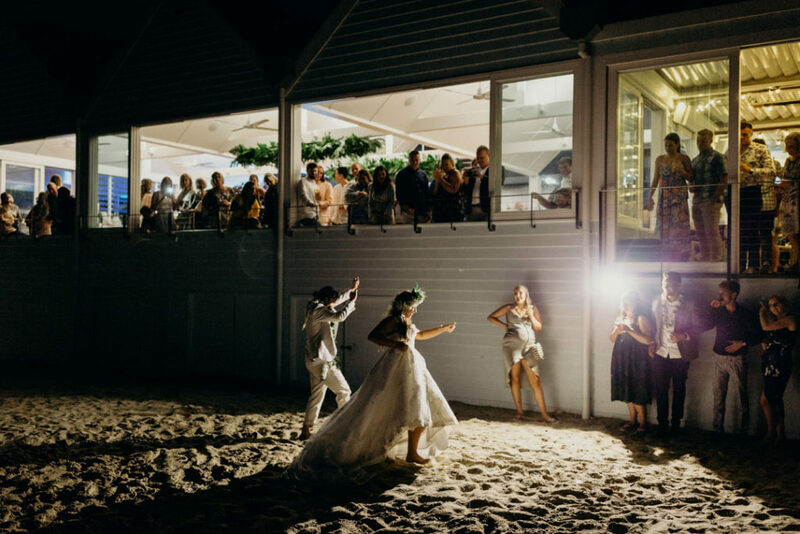 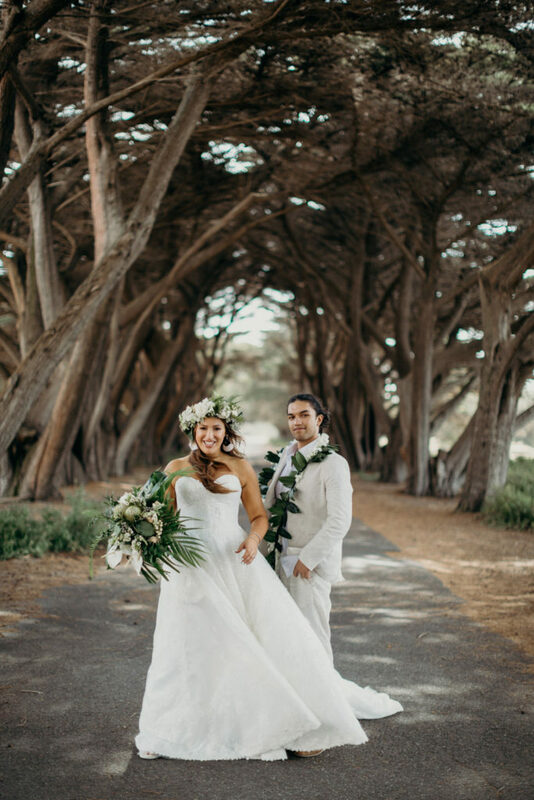 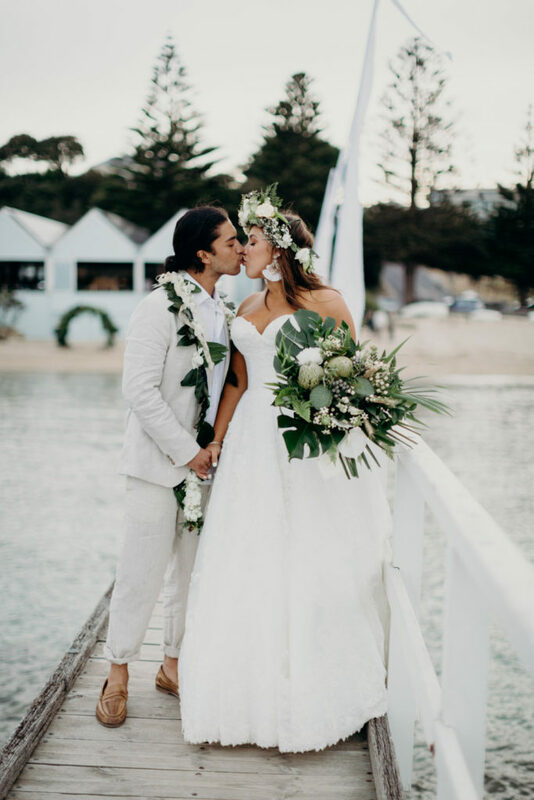 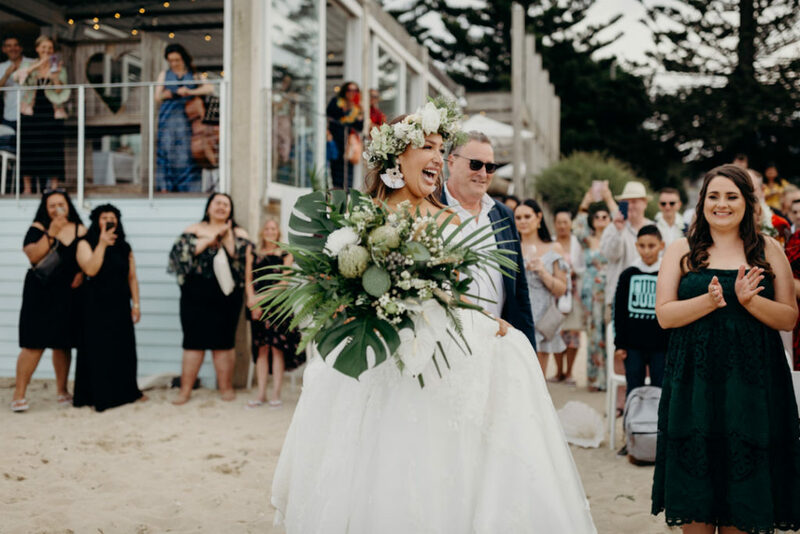 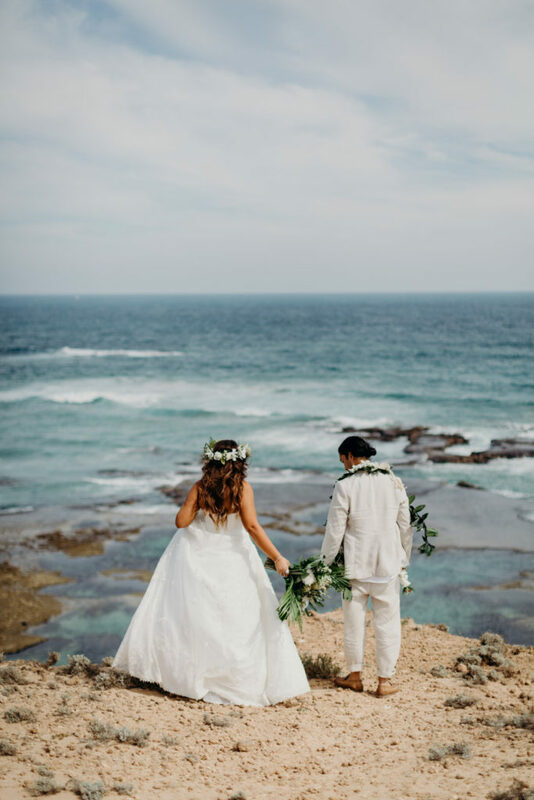 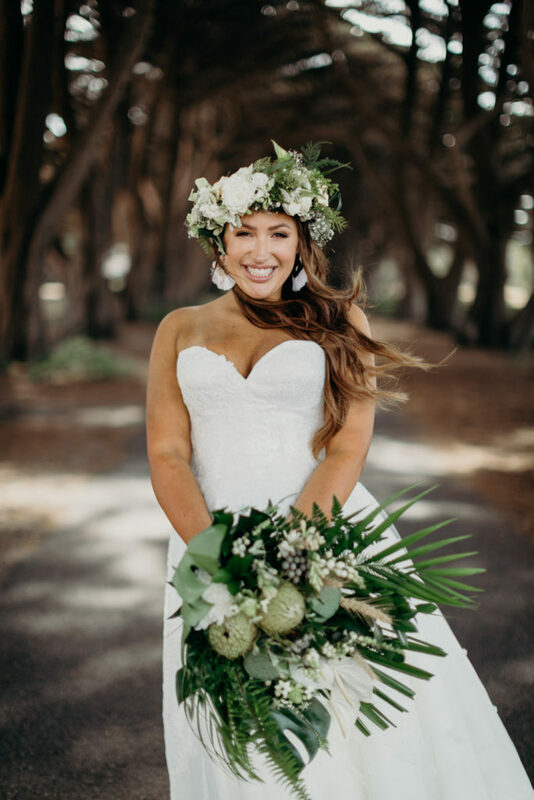 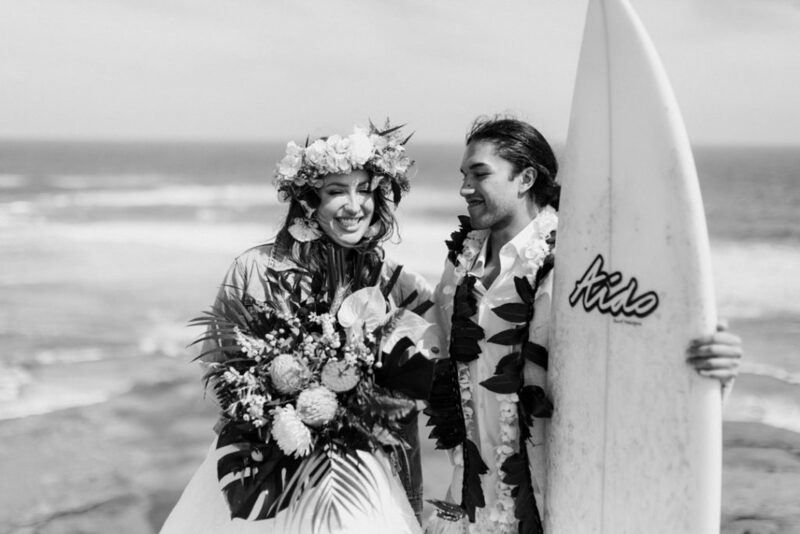 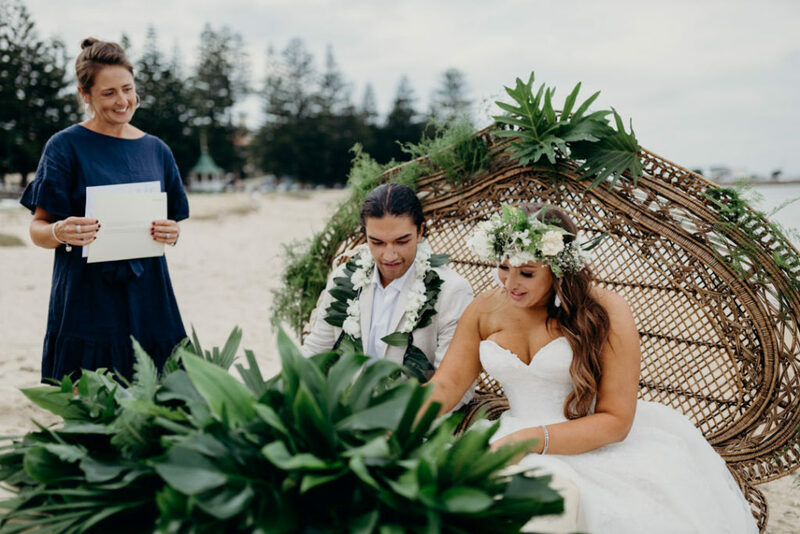 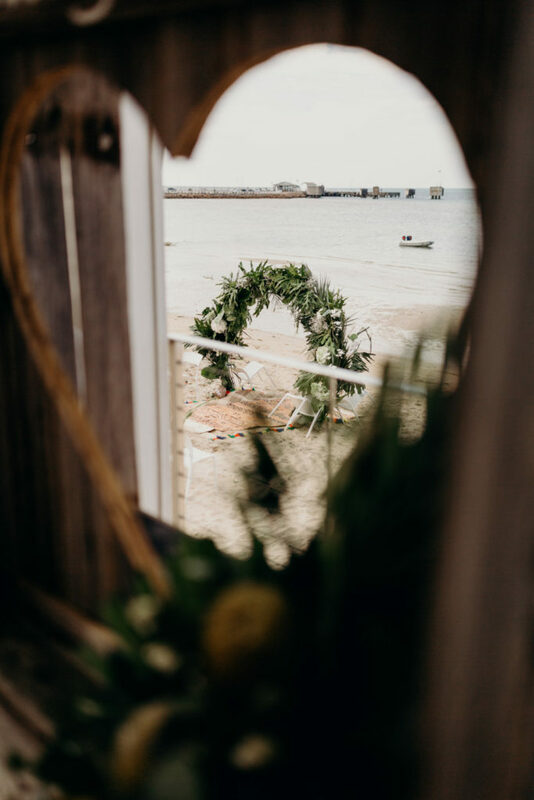 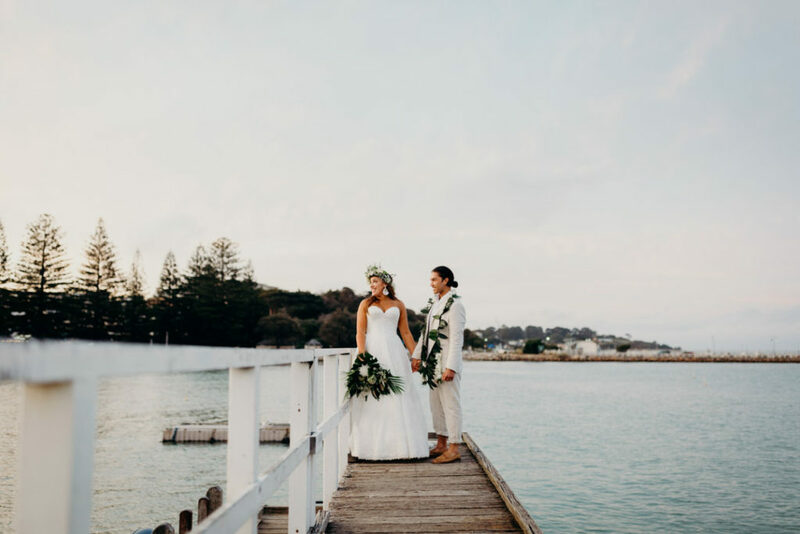 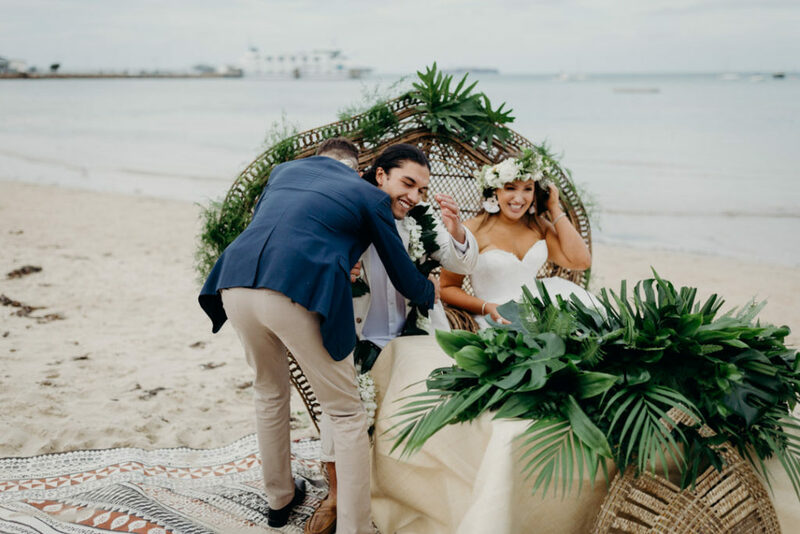 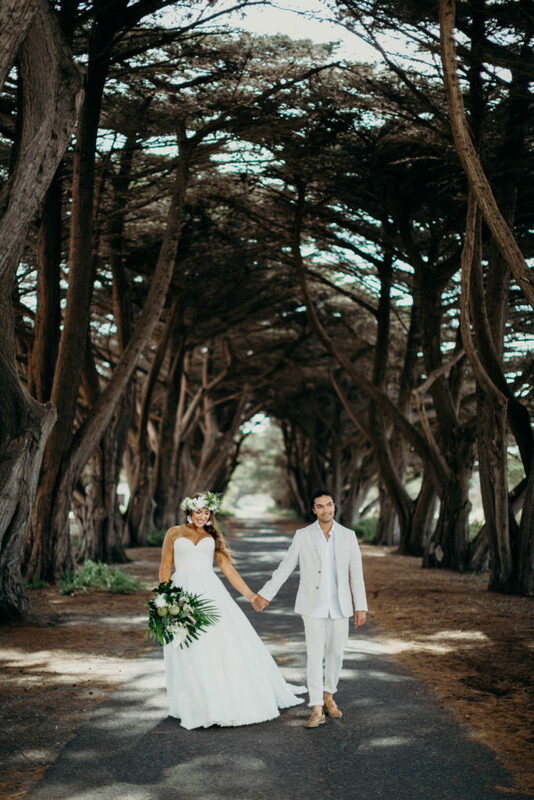 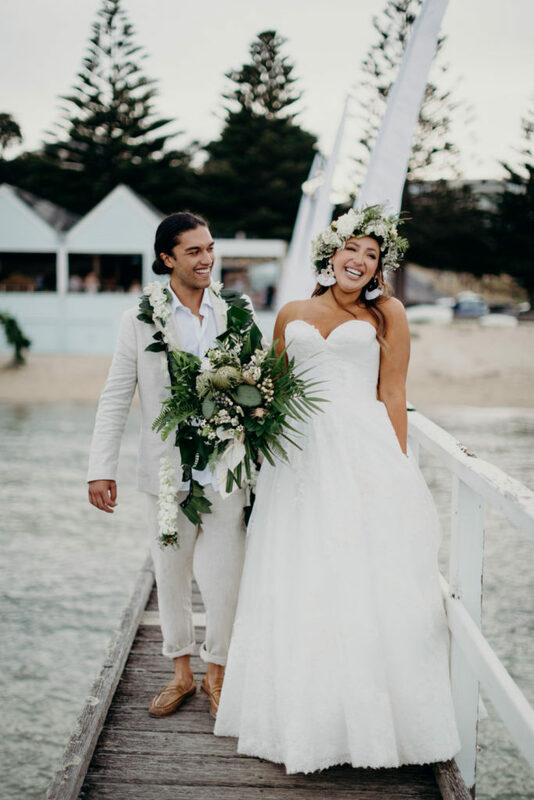 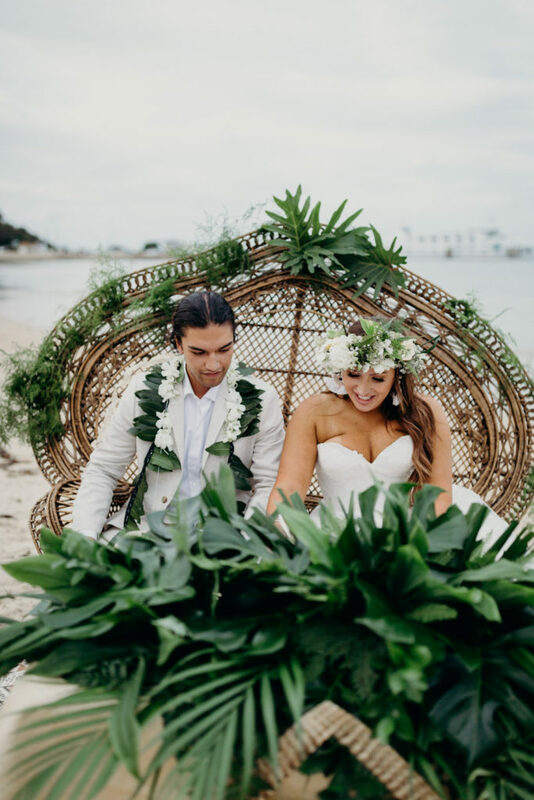 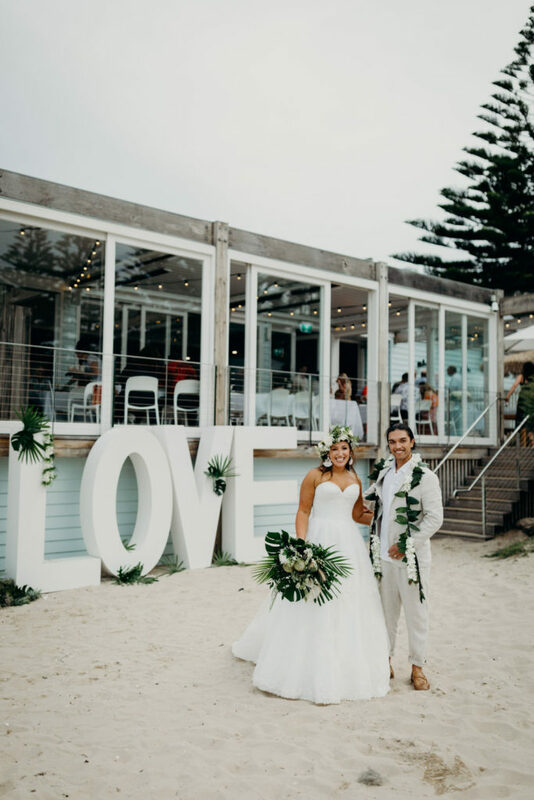 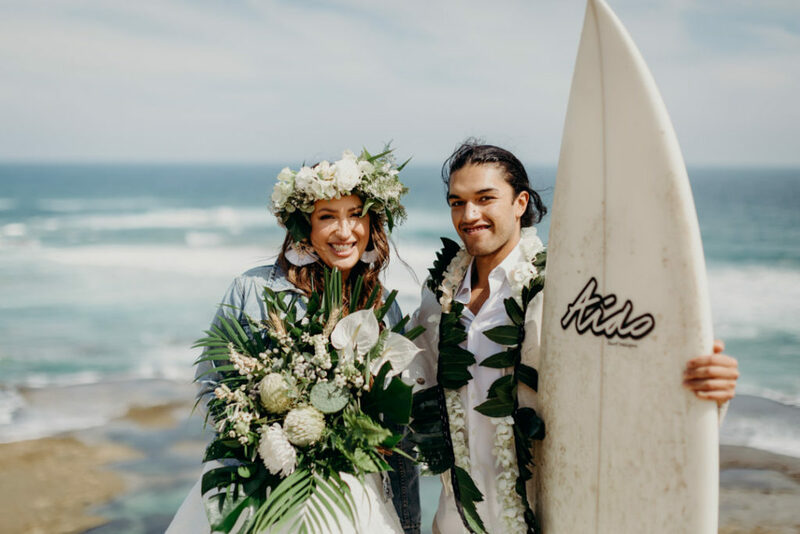 Perfect props, love a surfboard in a coastal boho wedding!! 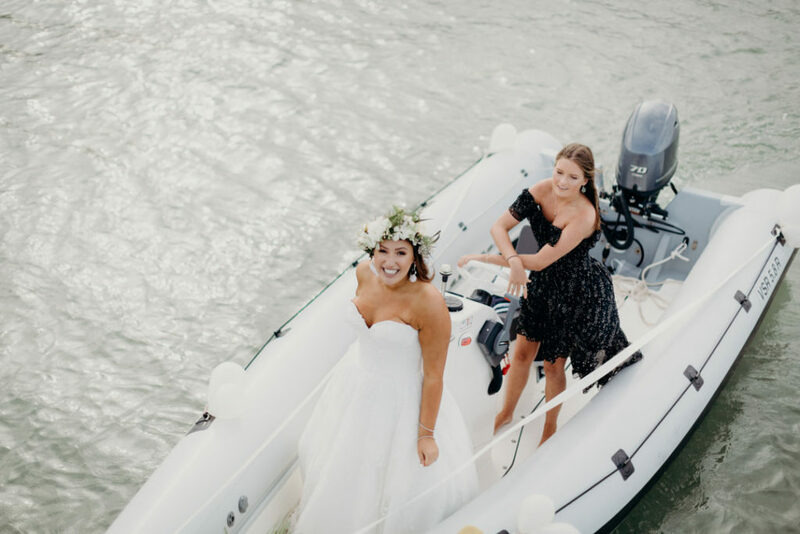 Um… did someone say arrive by boat? 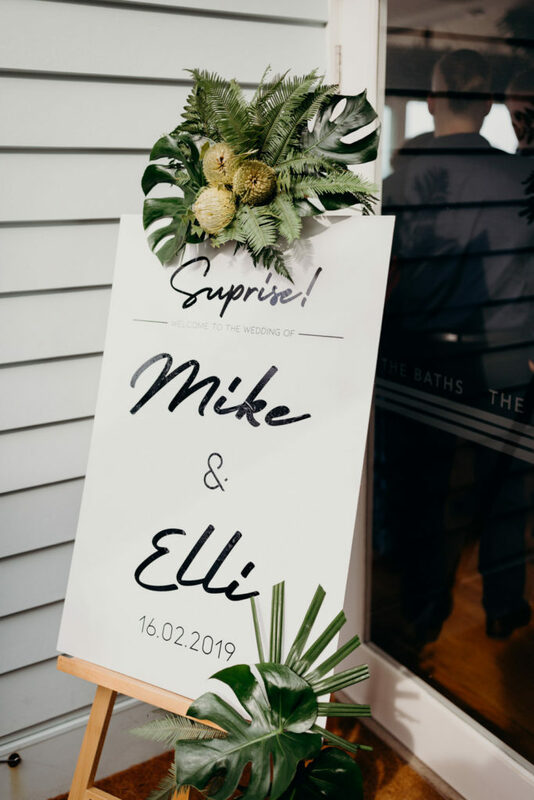 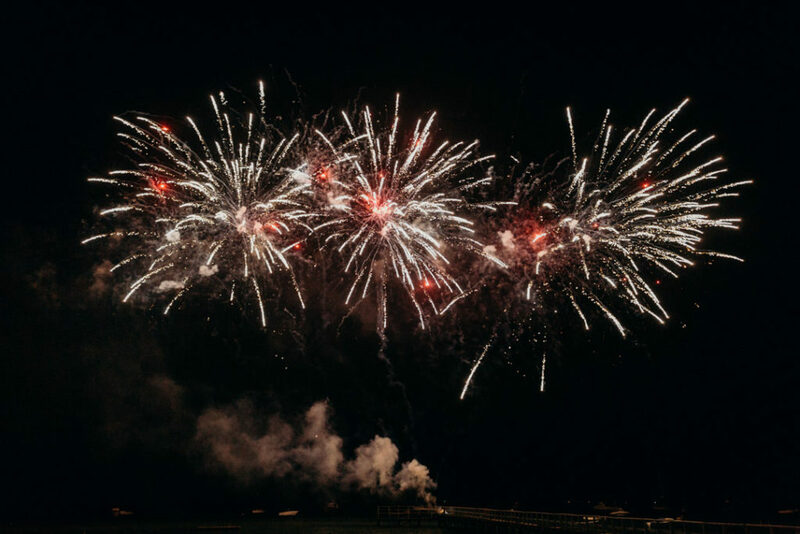 The surprises keep on coming!